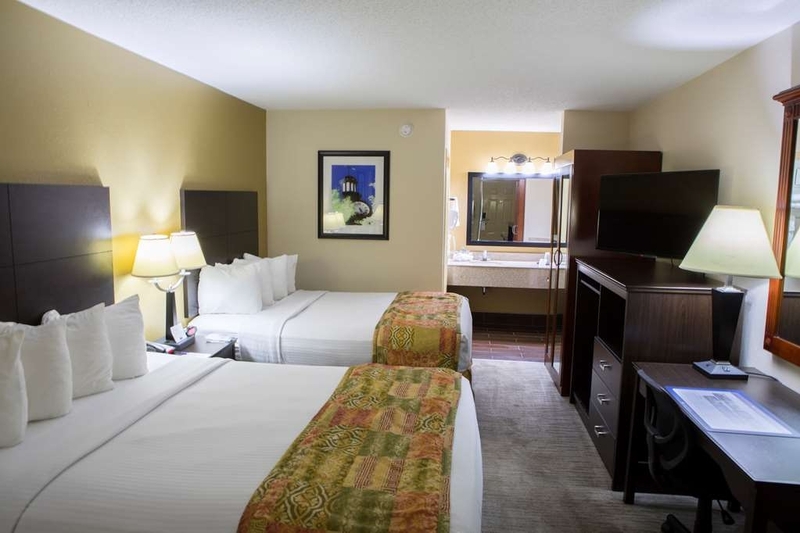 The Best Western Murfreesboro is ideally located in the center of Murfreesboro. Come and experience our hotel near the major tourist attractions. Best price guaranteed and exclusive deals. 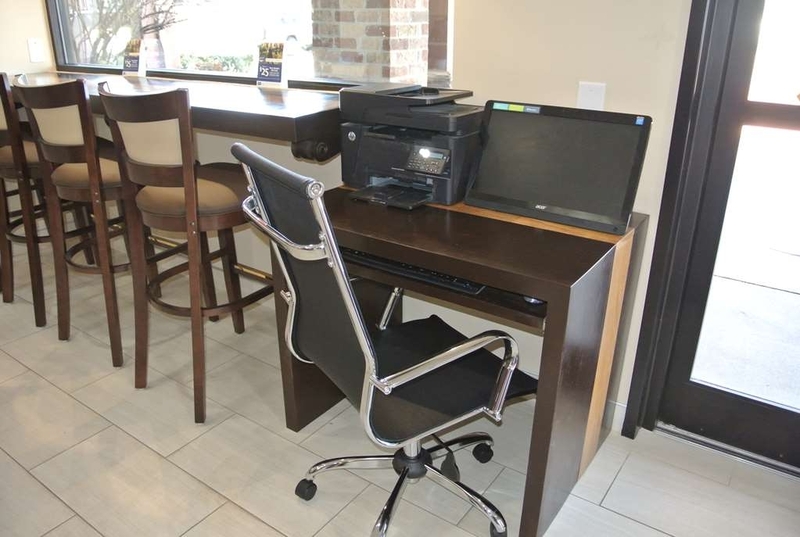 Make Best Western Chaffin Inn your home away from home! We offer free on-site parking for your car, truck or RV. Our expectations are for our guests to relax and enjoy every minute of their stay with us. Rise and shine and enjoy a delicious hot breakfast! 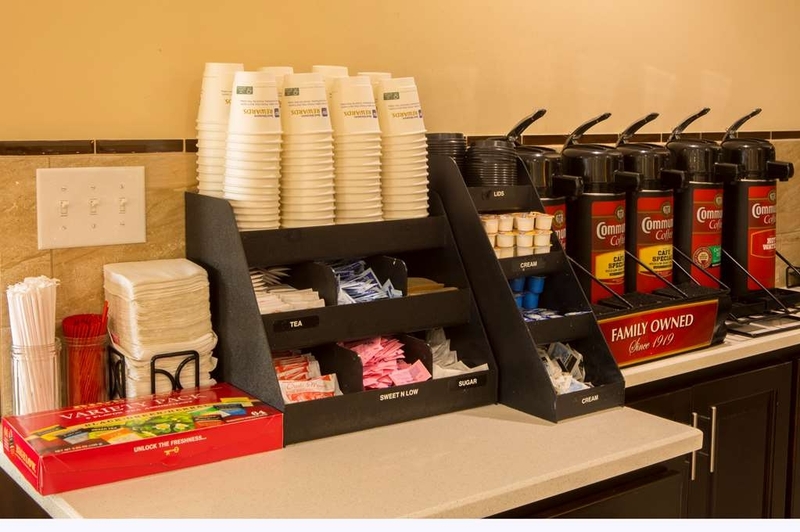 In our breakfast area we have a 24 hour coffee and tea station for your enjoyment. Enjoy a balanced and delicious breakfast with choices for everyone! Start the day off right with a complimentary hot breakfast including waffles and sausage, egg & cheese biscuit. Take a dip in our seasonal exterior salt-water pool. Perfect for family fun in the sun! 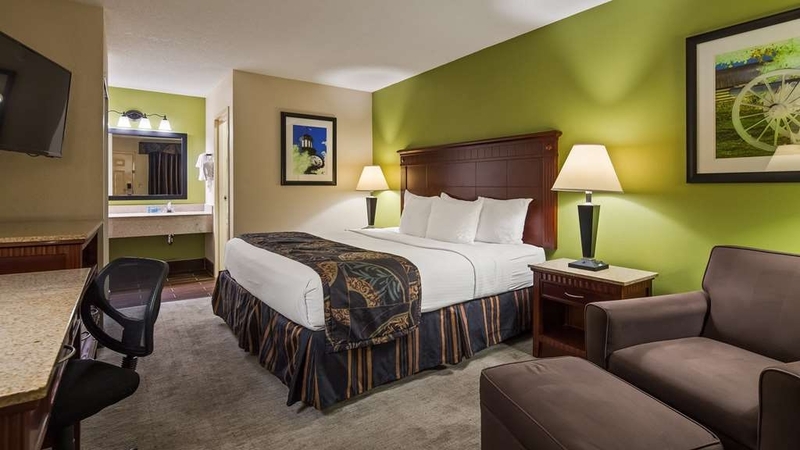 If you're looking for a little extra space to stretch out and relax, book one of our Double Queen rooms. Are you seeking pure, complete and total relaxation? Then make a reservation in our two queen guest room. 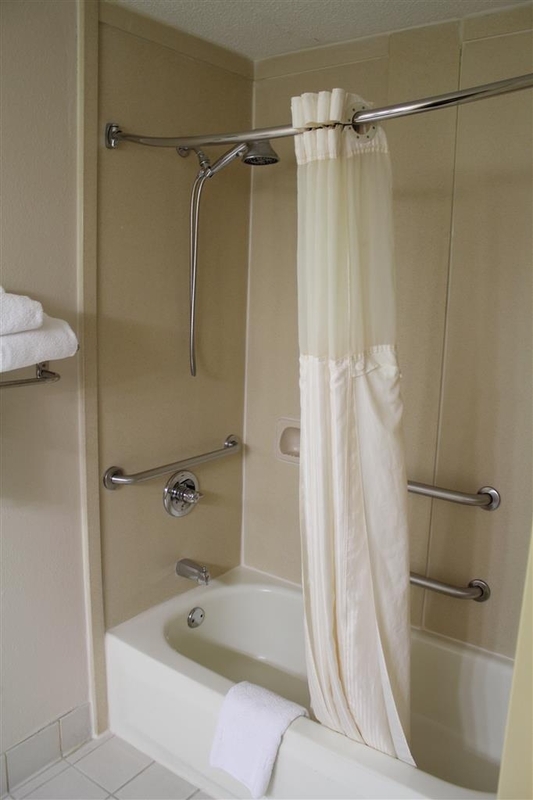 Our ADA mobility accessible room with features a large bath with step in tub/shower and handrails in shower and near the toilet area. 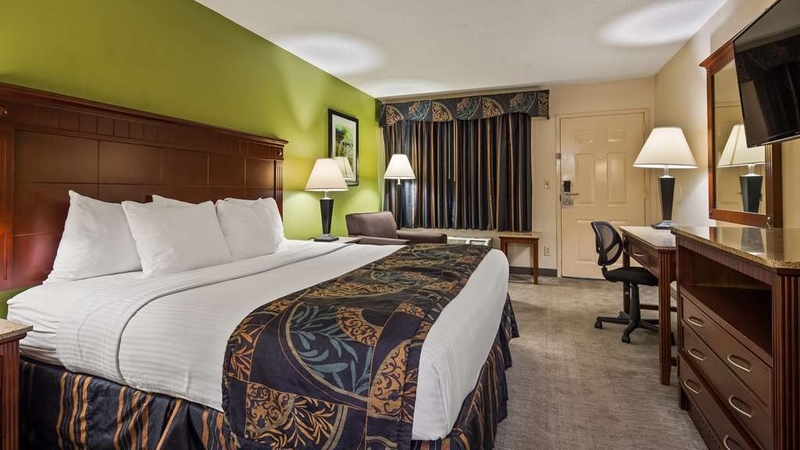 Stay the night in our spacious ADA mobility accessible king guest room. Get a great start! 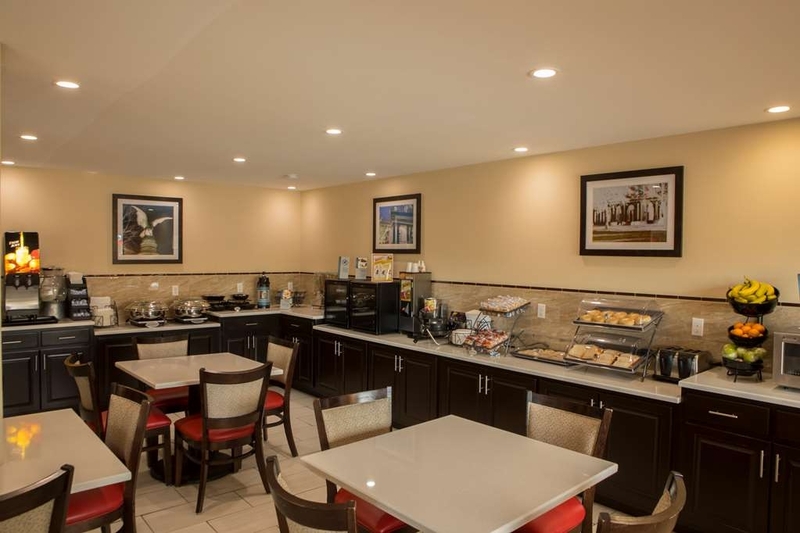 Our guests receive a complimentary hot breakfast. Welcome to the Best Western Chaffin Inn located in the heart of middle Tennessee in Murfreesboro. The Best Western Chaffin Inn offers guests’ great customer service and unbeatable amenities all for an affordable price. 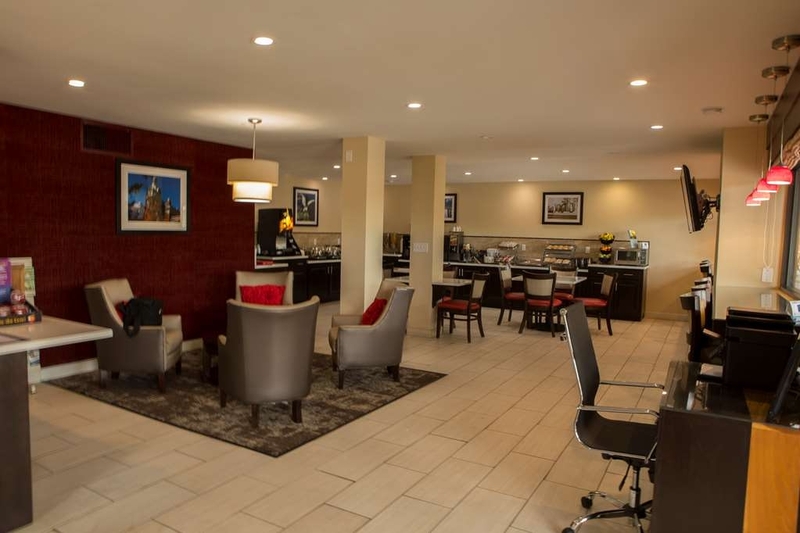 Guests staying at this newly renovated hotel will enjoy spacious guest rooms featuring 32-inch flat screen televisions with expanded cable including HBO® and ESPN®, microwave, refrigerator and free wireless high-speed Internet access. Start the day off right with a complimentary continental breakfast including choice of pepper fried eggs, sausage patties, breads, cereal, fruit, boiled eggs, yogurt, juice, coffee before relaxing in the seasonal outdoor swimming pool. 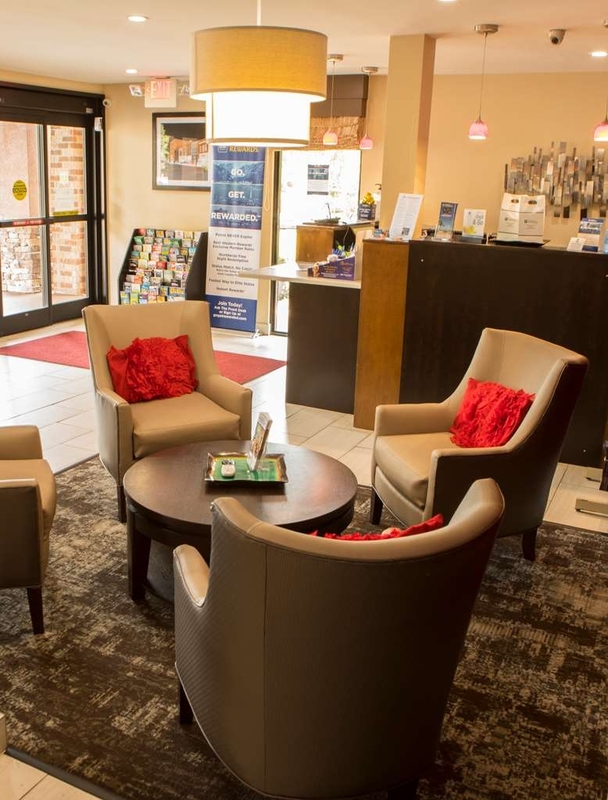 Located near the rich historic Civil War sights and attractions, the Best Western Chaffin Inn is close to where travelers to the Murfreesboro area want to be. 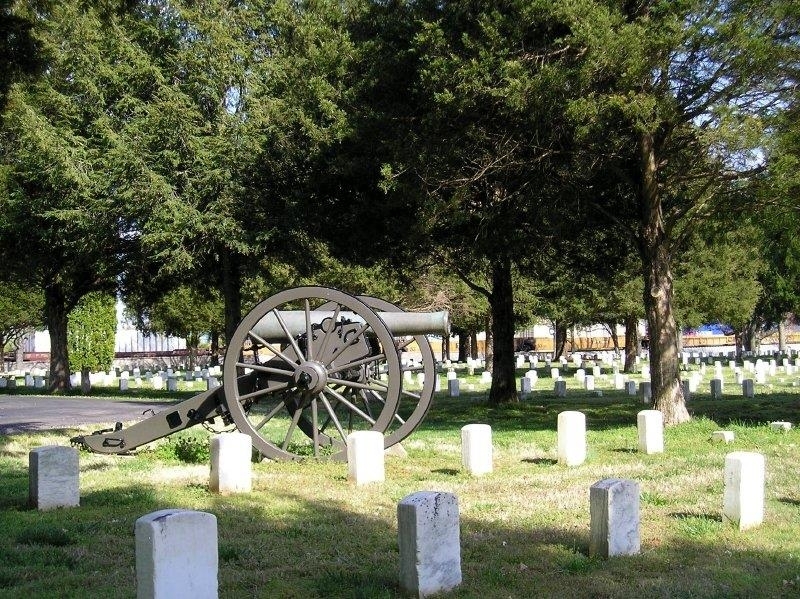 Guests can spend the day exploring Stone River National Battlefield, touring Oakland's Historic Site or walking Cannonsburgh Village. 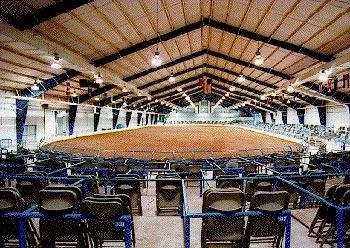 Horse lovers will appreciate this Murfreesboro hotel being situated so close to many area horse shows and activities. 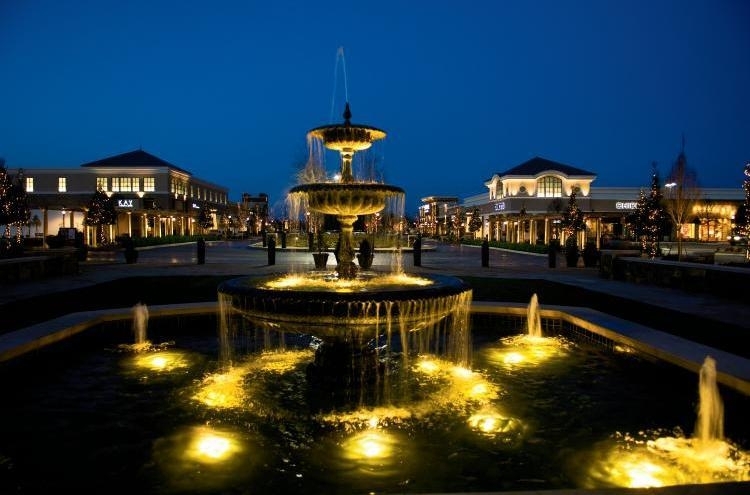 Find a variety of different boutiques and shopping malls throughout Murfreesboro and nearby Nashville. Traveling on business? 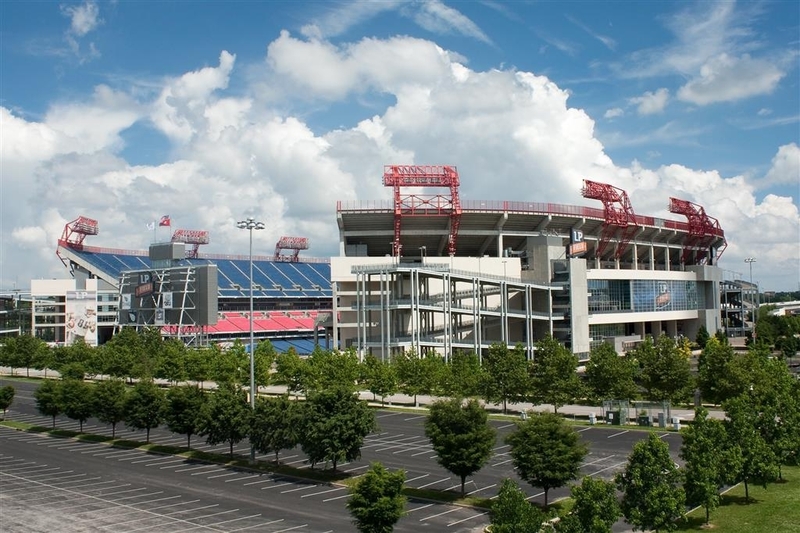 The Nissan Corporation and the Nashville International Airport are a convenient distance from the hotel. 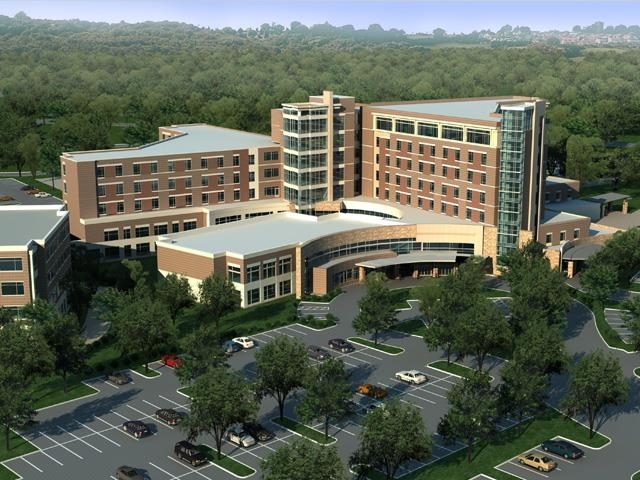 We are also conveniently located within two miles of the new Murfreesboro Convention Center. The Best Western Chaffin Inn also frequently hosts guests in town attending a variety of local festivals. 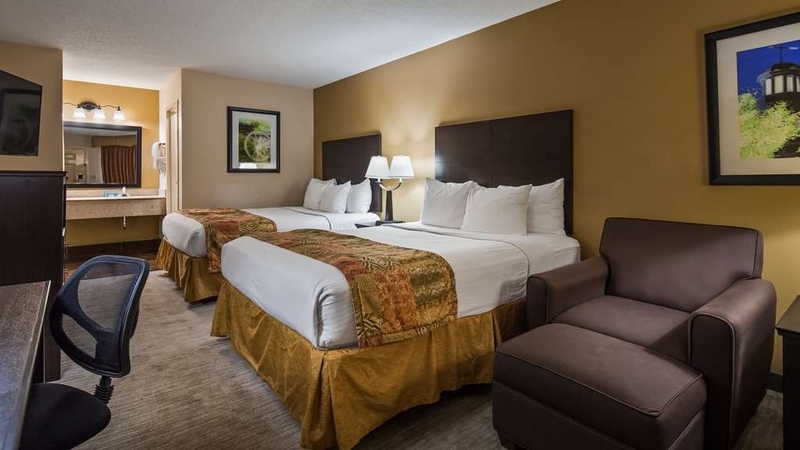 Nearby Middle Tennessee State University makes the Best Western Chaffin Inn ideal lodging for visiting family, friends or attending sporting events. We hope to have your as our guests soon at the Best Western Chaffin Inn! Due to limited parking and driveway sizes, the hotel cannot permit any oversized moving or delivery trucks on the hotel property. Guests can pull in and the front desk will direct to the proper parking areas. "great room & great Breakfast"
Dear Guest, Thank you for the feedback. I'm terribly sorry we failed to meet your needs. We're involved in a continuous improvement process aimed at making the hotel better than ever before. We take real pride in this hotel and believe that pride shows in everything we do. I hope you will visit again and see how we're getting better every day. Sincerely, Hotel Manager. "Terrific hotel at a great price!" I have stayed with this hotel numerous times. Very clean and updated rooms, seasonal pool and very nice breakfast spread. My only complaint has every been that sometimes the internet service gets a little finicky and cuts out. Otherwise, I highly recommend. Also note that they do offer AAA and military discounts. Hello Guest, Thanks for the stay at the Best Western Chaffin Inn and the great feedback. It is really encouraging and empowering us to better our services. We feel proud when we get such reviews. We will definitely attend to the internet services issue. Look forward to welcoming you again. Sincerely, Hotel Manager. 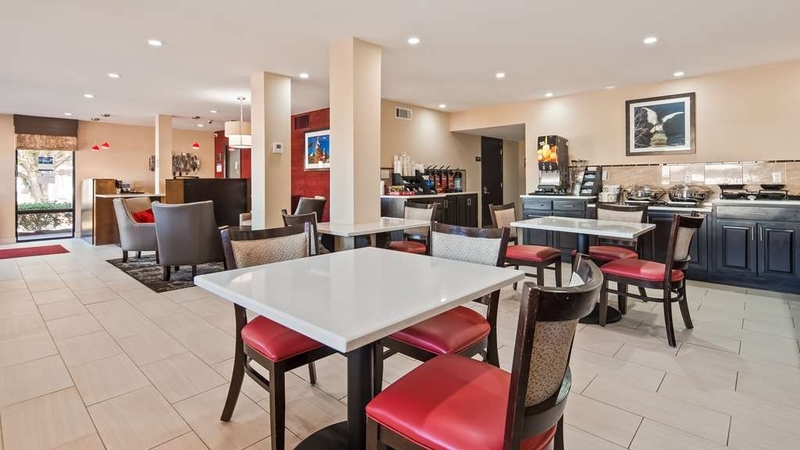 This hotel is clean and well kept up and an excellent value for the price. It is nothing fancy, but a very nice place to stay. We would highly recommend staying here whether simply traveling through the area or going there to stay. Dear Guest, Thanks for the stay at the Best Western Chaffin Inn and the feedback. Hope you had a satisfactory stay. You can expect a still better experience next time. Visit us again soon. Sincerely, Hotel Manager. "Everything I needed it to be." This hotel was clean and comfortable. I got a good deal booking online but didn't break the bank. It was right off the interstate and there were several restaurants nearby. A very good place to stay and not be gouged on the price. The staff were friendly and very helpful. The breakfast was simple but had good choices. We make this trip as a family a couple of times a year and we intend to stay here again. Dear Guest, Thanks for your stay and the valuable review recommending our hotel. We will take your comments for further improvement. Glad to note that you liked the stay. It is our privilege to serve clients like you. Reviews from guests like you motivate us further. Please do visit us again, Sincerely, Hotel Manager. This is a very clean and up to date room! The lobby is also clean, up to date and very friendly staff. Breakfast was hot and fresh. Very convenient to gas station and Wal-mart. Lots of eating placing around. NO complaints! Will be staying there again. This was the 3rd time we've stayed here. 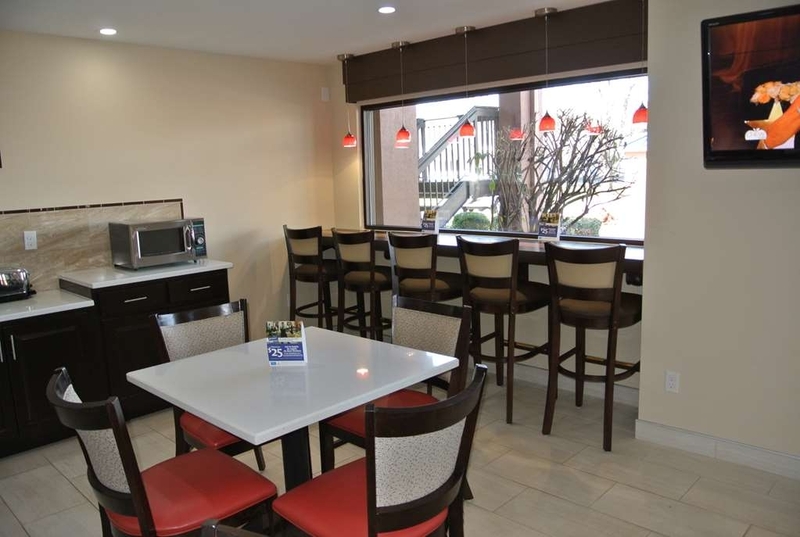 Room is nice, since the remodel last year, breakfast has a great selection, with really tasty sausage patties. Staff is always welcoming and helpful. Very nice stay. Dear Valued Guest, Thanks for the stay at the Best Western Chaffin Inn and the positive review. Glad to note that you liked the location, customer service, and breakfast. It is our privilege to have clients like you. For us, customer satisfaction is the best reward for whatever we offer. We look forward to welcoming you again soon!!! Best Regards, Hotel Manager. "Good affordable hotel and good location"
"Morning desk lady needs to smile"
Room was clean. Next to a busy street. Out side lights pretty bright. Fridge had a awfil noise all night. Couldn't figure out where it was coming from till morning. Wished the am.clerk would have just been kind and apologize. It's easy. I wasn't expecting anything. I just want people to be kind. Clean, convenient, friendly staff, pet friendly ... what more do you need. Breakfast okay...eggs, sausage, the usual fare. Only recommendation is they need a waste bin near the dog walk area so people have somewhere to deposit their dogs bags instead of throwing them on the ground. They supply the waste bags but not the container for disposal. Otherwise, the motel was great. Will stay again. Hello Guest, Greetings from the Best Western Chaffin Inn. We have noticed your feedback and thank you for your valuable suggestions for improvement. Your reviews are important to us. We shall check, investigate and take effective actions to resolve it. Customer satisfaction is important to us. Sincerely, Hotel Manager. My sister and I were driving from Missouri for Canaveral Florida to catch a cruise on Carnival breeze. He stuck in Murphysboro Tennessee where I had left a room at the best Western. Best western staff are awesome room is clean and comfortable but I found the tub did not drain properly during my shower. Breakfast was phenomenal there's really not too much more you could want the eggs were actually real Alex and the pastries were unbelievable. A little period maintenance on the drains could easily make this hotel rating be five stars on my review. Hello Guest, Thanks for choosing the Best Western Chaffin Inn. Appreciate your feedback and telling us what you liked and what lacked during your stay. We shall work further to improve the amenities and hospitality. Hope to welcome you again soon, Sincerely, Hotel Manager. After driving through heavy rain and Nashville traffic, we arrived at the Best Western in Murfreesboro, Tennessee after dark. 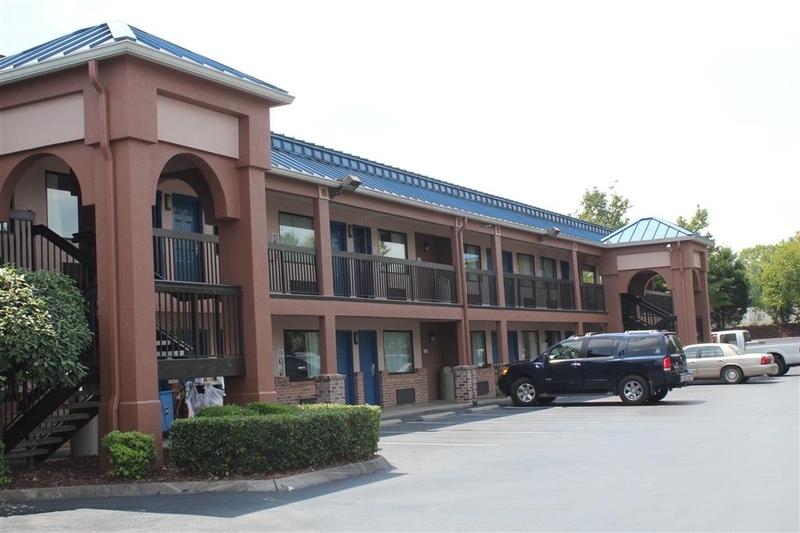 It is a smaller hotel located in a cluster of hotels on I 24 at X 78. Since we are unable to climb steps, we reserved a first floor handicap king room which worked out well for us. The room was clean, bed comfortable, and parking right outside our room made off-loading the car easy in the rain. The desk staff both at checkin and checkout was pleasant and helpful. The breakfast bar included a variety of tasty items which we enjoyed. There are many motels and eateries at the exit, and we would recommend this hotel. Hello Guest, At the outset, let me thank you for staying with us and taking valuable time to give us feedback. Your comments are much encouraging, but of course, guide us for improvement. Nice to note that you liked the bed, cleanliness, ​staff hospitality and breakfast, We shall definitely try to make your next stay still awesome. Appreciate your patronage. Sincerely, Hotel Manager. Check in was fast and easy. Had a reservation which was good because all the hotels in the area were booked solid. Had a problem with my TV not working upon check in but he desk clerk on duty solved it promptly. Breakfast was decent with enough to eat. Staff was very co-operative when I needed to extend my stay from one night to two. Room was clean, bed comfortable and parking convenient. Would definitely stay here again. Dear Guest, Thank you for sharing your experience about our hotel.It is absolutely fascinating to know that you liked the clean room,comfortable bed and nice stay.Our team reads all comments and we are all inspired by your positive, upbeat assessments of our hotel. You can be sure we'll be here for you in the future with another great experience whenever you need us. Thanks again. Sincerely, Hotel Manager. The young lady at the front desk (Lily) was very helpful from check in to recommending a place to eat (Toots) to helping with using the in house computer. The breakfast was so-so. Sat by the pool, nice. Overall, the hotel is showing it's age. Our fault for not being able to predict Atlanta traffic (mess) and where we'll end up for the night. Made it to Murphreesboro, the Sleep Inn down the street had no vacancy. With AAA or BW Rewards card the double room came to $131 for the night--pricey for the misfortune of arriving without a reservation. Breakfast was varied, plentiful, and served in a pleasant and airy dining area of the lobby. The motel is situated next to the interstate so there is considerable traffic noise. Maybe a room more close to the front of the motel. Hello Guest, Thanks for the stay at the Best Western Chaffin Inn and the feedback. We have taken note of your price concern. You can expect a further improved stay next time. Visit us again soon. Sincerely, Hotel Manager. Dear Guest, Greetings from the Best Western Chaffin Inn. Thanks for your kinds words and the time you took to share them with us. It is great to hear, that you have enjoyed the stay and the location. Rest ensured, that we will take you comments for further encouragement within the team to ensure personal service and warm welcome for your next visit. Be informed, that we will enhance our hospitality still better. All the best and see you soon! Warm Regards, Hotel Manager. Stayed here one night while traveling to Stone River NHBG. Very friendly and helpful staff. Room was clean and quiet, great shower in bathroom. Able to walk to nearby restaurants for dinner. Good breakfast. Dear Guest, Greetings from the Best Western Chaffin Inn. Thank you so much for such a lovely feedback which you have so kindly posted on Trip Advisor. I really appreciate your experience which you have graciously shared along with the compliments on our facilities and service. It is our endeavor to ensure that every guest leaves as an ambassador of our hotel. We hope that we could match your expectations. We thank you once again for such a delightful review and look forward to welcome your referral guests. Sincerely, Hotel Manager. Everything was great, so great I drive back and stayed a second night! Would definitely recommend this facility again. Everything was above my expectations and everyone was kind and courteous! Give it a try. From the moment I walked in the hotel it smelled Clean. The room was in very good order and clean and comfortable. Staff was extremely friendly. The price was very fair and we Will definitely stay again when in town! Has a pool too so bring your suit! Dear Valued Guest, We appreciate for taking the time to share your review regarding your stay at the Best Western Chaffin Inn. It is wonderful to know that we were able to make your stay a nice one overall. Also we have taken note of the need of an elevator and the noise issue which will be put across the management. We hope that you will notice more exciting improvements at the resort on your next visit and sincerely look forward to welcoming you back soon. Sincerely, Hotel Manager. 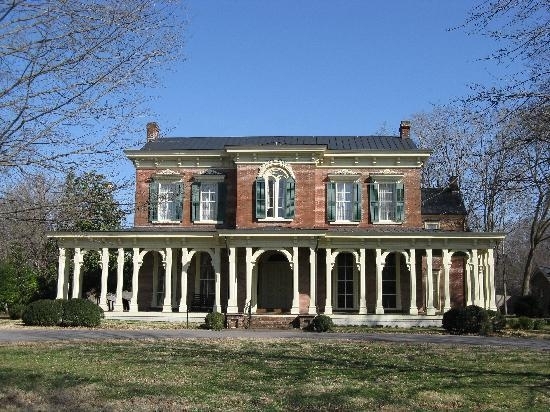 We had a great stay at the Chaffin Inn in Murfreesboro. 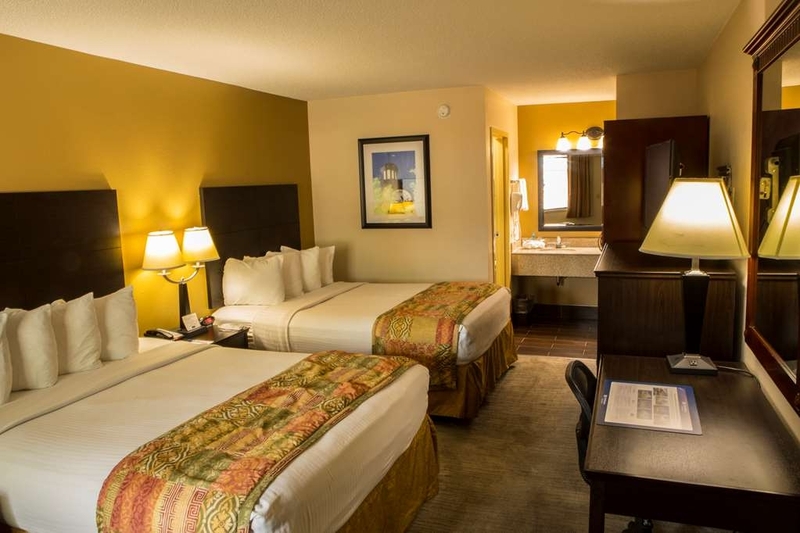 The room was clean and comfortable and staff was helpful. Would recommend this hotel if you are in the area. Overall very satisfied and decent price for the quality! 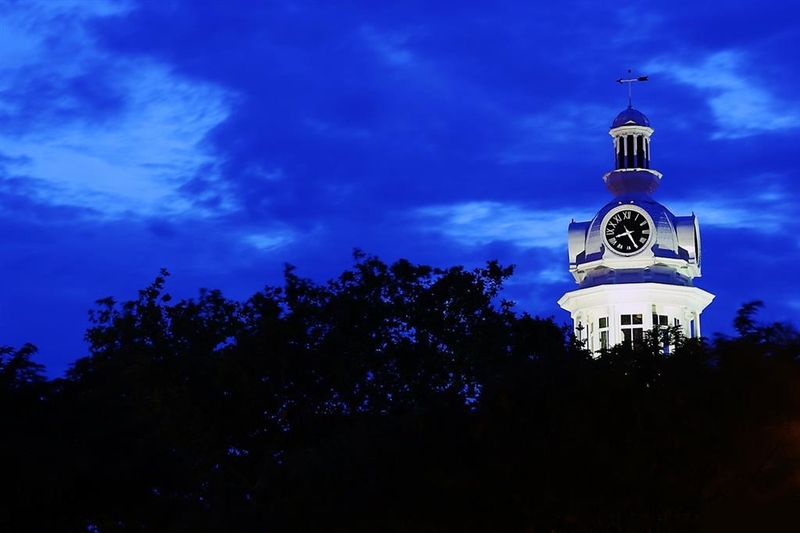 "You gotta love Murfreesboro--and the Chaffin Inn"
I'll bet you didn't think Murfreesboro, Tennessee, is a tourist mecca. 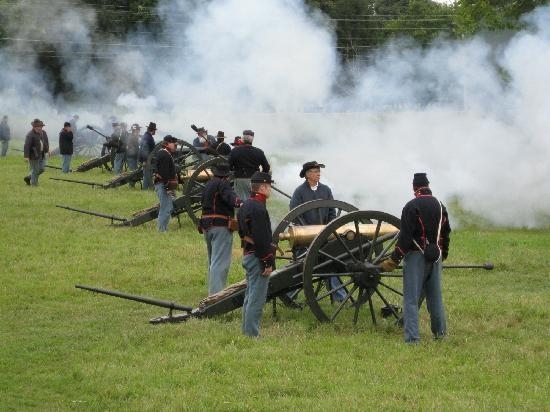 Located 20 miles south of Nashville on I-24, on the way to Chattanooga, Murfreesboro was the site of an important but largely overlooked battle in the Civil War and now is a popular overnight destination for travelers going to and from Florida. Like my wife and me. For years, we have made the Best Western Chaffin Inn a must stop going to and returning from Florida. The town is filled with motels and restaurants of every franchise brand. Old Fort Parkway is the busiest highway in the state. But Chaffin Inn is quiet and comfortable and very accommodating and accessible. We always leave too early in the morning to take advantage of the free breakfast, which I'm told is worth the wait. You know how sometimes, when sleeping in a strange bed in a strange room, you have trouble getting to sleep. Or the air conditioning is too loud? You toss and turn until the pillow fits just right. Know what I mean? No trouble at Chaffin Inn. I always get to sleep well before my normal time at home. And I'm ready and alert for another long day of driving. Just what I want from an overnight stay at a motel. Chaffin Inn always delivers. The staff was friendly on checking in and out. Our room was nice, but nothing special. It had all of the typical amenities and was very clean. Breakfast was really good and filling. A great way to start the day and continue the road trip. "great room great value! for a great visit! Highly recommend, great staff"
"Best Western Chaffin Inn, Murfreesboro"
We stopped for the night on good Friday on our way to Florida. The hotel building I assume is an older property but much had been done to update and modernize. I have no complaints about our stay. Yes it is by the highway but really I only heard an ambulance. Room was clean and comfortable and met all our needs. Breakfast was good and was enough to start our day. Check in was fast and efficient. The only this is there is no elevator so if stairs is an issue you may have to make sure you get a ground floor room. For future trips to Florida I will not hesitate to stay here again. "Ask if they have hot water!" Clean enough. But NO hot water, either the evening we arrived or the morning before we left. And 3 other guests at breakfast had the same experience. So if you're inclined to stay there, ask if they have hot water! "Pet-Friendly and easy access to 75 when in the Nashville area"
We have stayed at this hotel when traveling from Chicago to Florida. It is a pet friendly hotel and offers a full breakfast. There are many fast food and sit down restaurants close by, some even within walking distance. There is also store shopping in the area. Right off of 75 so easy on/off. Hard floors very sticky along with carpet by refrigerator. Refrigerator did not work. Room airconditioner/heater ran constantly even though we turned unit off. Kitty litter box (with kitty litter in it) on top of guest dryer in commons area was gross to wlk by. Bed was very comfortable and the breakfast was good. Friendly staff. The room was fair with the smallest bathroom I have ever experienced. The toilet was dirty. Even though it was next to busy highway it was a quiet room at the end .The breakfast was like most but the toaster not working on one side and not well on second and kept line waiting frustrated.I was overcharged on card that was $30 over my reserved rate and desk agent said she was new and didn't know how to fix it. It would need to be done the next day as manager was off. More will be seen if this happens. Booked from the road - easy to find off exit. Clean rooms. Good breakfast. Many restaurants nearby. Free parking. Front desk staff was very nice & helpful. Good price for double room. Not too noisy, although in busy traffic area. The hotel was very nice. The rooms were clean and the beds were comfortable. It was easy to find. Staff was pleasant and helpful. The only I had was parking. On the side of the lobby there was plenty of parking however on the side my room was there was only handicap parking available (we are not handicapped). I was concerned about my daughter and I walking late at night to our room.. This may sound petty but since we travel and are unable to check in during the day most of the time I do consider this a safety issue. Dear Valued Guest, Thank you for choosing the Best Western Chaffin Inn and appreciating the hotel. It's nice to hear that you liked the rooms, cleanliness and Staff service. We shall look into the Parking lot issue and resolve the same. Certainly a matter of pride for us to serve esteemed guests like you and expect you to refer to any other guests who are likely to visit this area. We look forward to welcome you again at the earliest, Sincerely, Hotel Manager. Quality Hotel and Staff! I will be returning to this hotel, and recommending this place to my friends and family. Everyone is friendly and helpful. Breakfast and the cleanliness of the hotel was spectacular! The hotel is nice but the room we stayed in was near the highway, Hwy 24, and the noise from the traffic kept us awake most of the night. The door was not sealed properly and could see light coming in which the front desk said could be the problem why the noise was so loud. Maybe was the night too where about 10 sirens went by which caused problems. But if we would have had a room further away from the highway may have helped. Too many hotels build too close to highways with heavy traffic, especially the trucks at night, makes it difficult to sleep. Nice hotel, but noisy! Dear Guest, Thanks for staying at the Best Western Chaffin Inn during your recent visit to our area. We appreciate your review and the observations both positive as well as negative They are precious to us and we shall surely take them for improvement. We are addressing your observations point by point for further improvement and you shall definitely see the difference during your next visit. We await your earliest next trip to our area and promise a nice stay with us. Sincerely, Hotel Manager. We plan our trips with our cat. Since Best Western is pet friendly we generally stay at a Best Western. When we checked into our non-smoking room it had obviously been smoked in and the girl at the desk, Beeta, happily moved us to another room that we were very satisfied with. Thank you Beeta and Best Western Chaffin In! Great experience! Staff was very friendly and helpful. Room was very nice and very clean. Good value! Breakfast was very good. I would definitely stop there again! Good restaurant choices in the area. "Close to Shopping & Highway"
The hotel was clean and comfortable. The staff was very friendly. The breakfast area was well kept and the selection of food items was what I would have for breakfast at home. 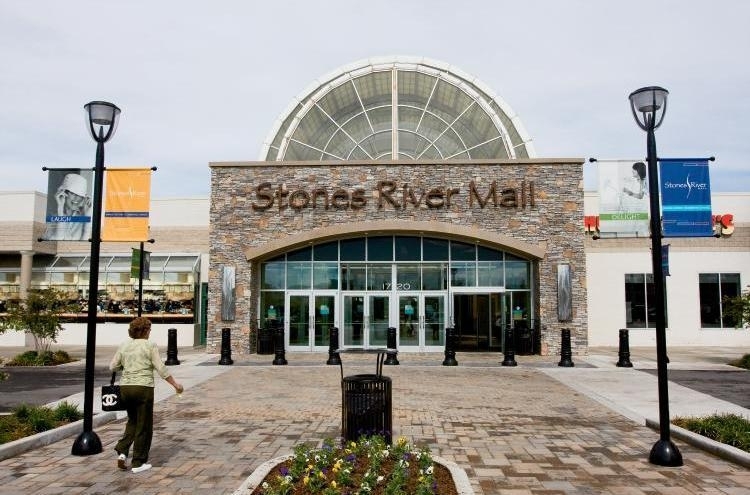 Easy access to shopping and a variety of restaurants. I would stay again if in the area. A very accommodating hotel. We asked if we could have a downstairs room, as we had a very heavy suitcase, this was arranged for us, which was excellent as most available rooms we on the second floor. The room was very comfortable and had two double beds in it. A very big TV and plenty of room. The breakfast room and breakfast was lovely and there was plenty of choice. I stayed there during a long drive while I was passing through the town. It was a pretty standard, run-of-the-mill experience. There was nothing bad about the place, so I reckon it was fine by me. Amen. Excellent shopping and food around this area. Hotel is under a remodel so I wouldn't stay here working nights and trying to sleep during the day, however it wasn't as noisy as I expected considering the amount of work going on. My stay was nice but short, only 2 days. Staff was very friendly as is the whole town in my experience. Traffic can be heavy at times but it's a short walk to good food and a variety. "Nice place not so good staff"
an easy to find, small but very clean, comfortable and efficient. the staff is very friendly and helpful. 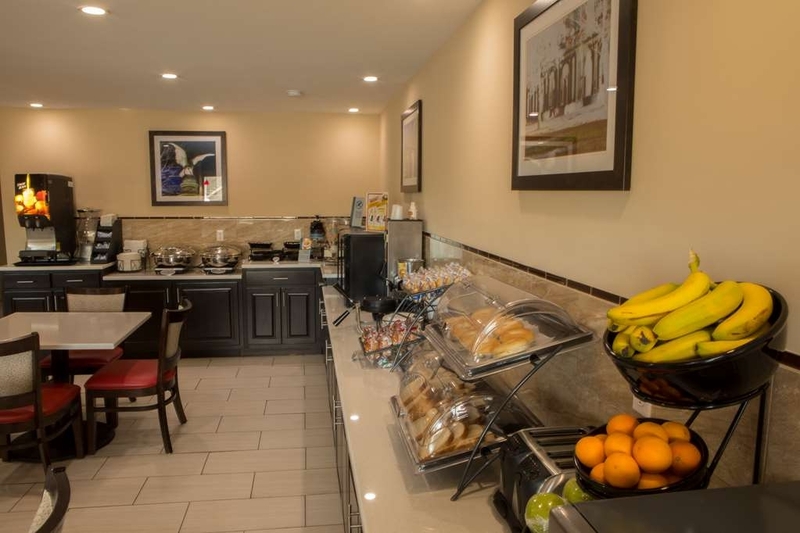 Breakfast area is small but food items are presented in an orderly fashion and the choices are plentiful. The hostess keeps everything stocked and plentiful. hard to locate,because of new signs,liked the old stile. Congested area ,street light's hot much help. close to freeway and over built area.happy two have a room just the same. weather wet and raining ,good to get off the road . thank you. Hello Mr.Larry, We have noticed your feedback and apologies for the inconvenience. Your reviews are important to us. We shall check, investigate and take effective actions for finding out the source and eliminate it. Customer satisfaction is important to us. Sincerely, Hotel Manager. The room had an odor like an overused vacuum bag smell. The breakfast wasn't what I expected a continental breakfast to be with fresh cooked eggs available. Everything else was above average. Good location. "Evacuates treated badly by older manager"
The older manager told guests to leave lobby area so she could think. Locked out of rooms (we had 4) because the dog scratched his nose and there was a little pink blood on the sheet. We told her we would pay for the sheet (one bed) and we would wash them ourselves for the duration of our stay.. .she said she throw them away and charged us $87! No elevator for elderly mom, and no handicap bars in the bathroom A/C in one room didn't work, they finally fixed it the last night we were there. Thankfully, another manager whose name is Lauren was there to help us out. Also Sherene (sp?) was very helpful. 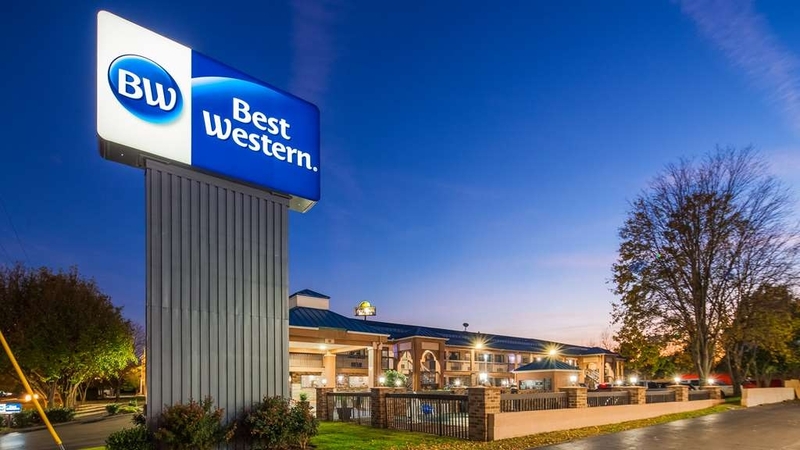 "Best Western Best for Me"
The Best Western Chaffin Inn in Murfreesboro is an excellent choice for the price and the service you receive at this motel. I made my arrangement 2 weeks in advance and was provided with a confirmation via e mail. I called two days prior to arrival and was greeted with a professional attitude and an attentive staff member. Check in was quick and easy on arrival. My stay lasted four days, the ONLY issue I had was that the TV remote would not respond and it was not a battery issue. The staff had it fixed and ready to go promptly with no hesitation or excuses. the morning breakfast and or buffet was fresh, hot and nicely presented. There were plenty of guest present during our stay and there was no shortage of coffee or fruit. Upon departure, I had an early check at 5:00 am. Security was spot on as the front door was locked but the attendant was waiting and there was NO delay in letting me in. Brian was on staff early that day and handled my check out promptly. There was no coffee, however when I made my request known. Brian went right to work in getting it prepared. He asked if we needed to load our truck and if so the coffee would be ready by the time we had finished and it was. He filled my thermos and even provided us with bottled water for later in the day. He was prompt, courteous, friendly and dressed properly for his job. I say these things due to the fact that I have stayed at a few other motels in the immediate area and this IS NOT THE CASE...... I will be staying here again when I return to Murfreesboro in the near future. The entire staff was on point and well trained and friendly. 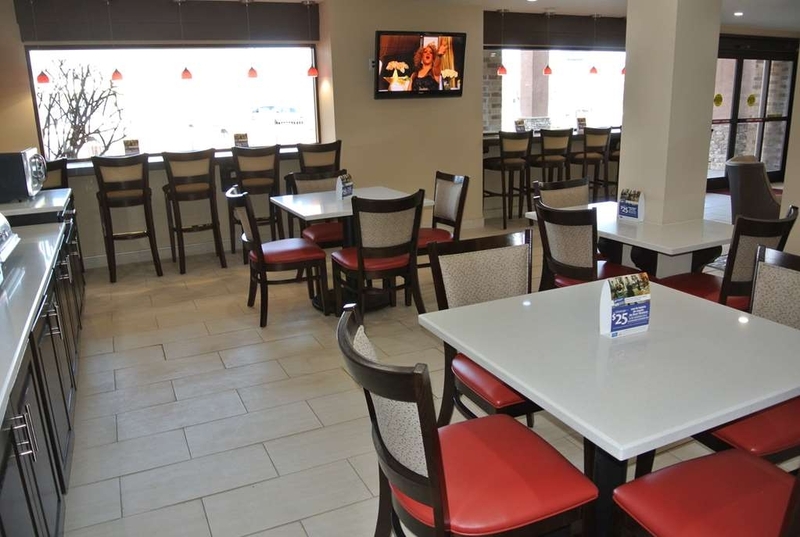 This type of service also has an effect on all of the guest that were there as everyone seemed to enjoy their stay at the Best Western Chaffin Inn. We stay at this motel 4 times per year. Each year it has been improved. The lobby has been remodeled as have the rooms. It is clean and convenient. The staff helpful and professional. The rates are reasonable. It is very difficult to find a nice motel that allows smoking. The hotel is close to the interstate, restaurants and was extremely quiet. Their could potentially be parking problems if its packed, but while I was there it was sufficient. The bed was comfortable, the internet was good, and the staff was wonderful. The room was great except for the tub/shower being in the bedroom part of the room. We were only staying for one night so it wasn't a big issue. Bed was super comfortable. The breakfast was good and there was plenty of food. Dear Valued Guest, Thanks for your stay at the Best Western Chaffin Inn and the kind comments. We are proud of having guests like you. You can always be assured of a nice stay with us. Glad to note that you liked the breakfast and the local activities. We look forward to having you with us again. Sincerely, Hotel Manager. I was very pleased with my stay at Best Western. My room was clean, quiet and well stocked. The mattresses could be softer but I survived. Very nice pool,washer and dryer and the ice machine actually worked! I will definitely stay here again if I am in the area! Dear Guest, Thanks for your stay and the valuable review recommending the Best Western Chaffin Inn. We will take your comments for further improvement. Glad to note that you liked the stay. It is our privilege to serve clients like you. Reviews from guests like you motivate us further. Please do visit us again, Sincerely, Hotel Manager. The Best Western Chaffin was clean and comfortable the room was a little small but it was good for two nights. The breakfast was good. The breakfast area is in the lobby and was too small. They didn't have enough parking spaces. We had 2 rooms, 1 room the toilet didn't work, the bath tub was nasty, the other room, ac didn't cool properly and shower didn't work. The rooms smelled terrible. Could not wait till morning so we could leave. "Decent hotel for a quick overnight"
We stayed here with our three kids on a road trip to Florida. Did not want to spend too much on an overnight but did not want to stay in a dive either. This hotel worked out well. Hotel is in a nice area. The breakfast was good and the breakfast area was clean. Room was clean except for the fact that the carpet could have done with a shampoo. Kids said that the pool was too dirty to swim in. I think this place is worth a stay but I would say it is not worth more than $100 per night. My husband and I have always enjoyed staying at Best Western hotels - this was was no exception. We only stayed here for one night for a bowling tournament, and have no complaints. 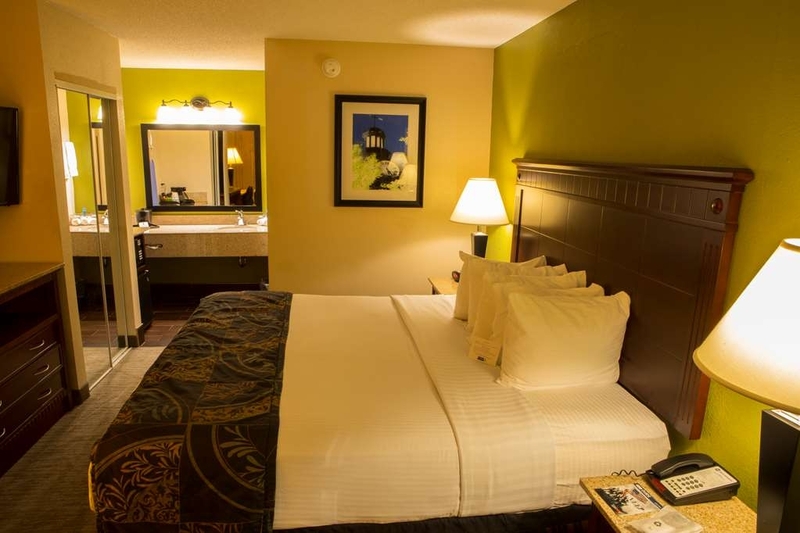 The hotel is located near lots of restaurants and other amenities. The front desk staff when we checked in was courteous, professional and even thanked me for being a BW Rewards member. Breakfast was basic but food was hot, plenty of cereal/bread/fruit selections [whih other hotels do not have] and food area was clean. The beds were a bit hard for my taste but bathroom and room itself was clean - and no smoking smells anywhere throughout hotel!! All in all, I would recommend staying here! I have stayed at Best Western hotels all across the country and this is by far the most disgusting hotel I have EVER stayed in. The rooms were filthy, they put stained sheets on the bed, the air conditioner was moldy, the railing outside the room was wobbly, the breakfast made me sick (literally). Asked for extra towels and blankets and never got them. We stayed here because there was "laundry facilities" which was actually one washer and one dryer in a pitch dark walkway outside the building and the guest from the hotel next door were told they could use it which means we were lucky if we got a chance. The ice machine ran out of ice and we were told to go to the hotel next door to fill our ice bucket. People were loud and in the pool until very late into the evenings. Do yourself a favor and find another hotel. Bed sheets and pillows could be better but overall had a comfortable stay. All of the staff encountered at the front desk was nice and helpful. Good location with plenty of places nearby to eat or shop. "Clean Hotel For A quick Stay"
Nice clean hotel for a quick stay. Small lobby. Serves the purpose for business trip. Pleasant staff. Comfortable beds. Conveniently located to major highways. Near shopping center and also the restaurants. A few are within walking distance. Standard breakfast included in hotel rate. "We were using this for a stop on the way to another city. We Stayed before and liked it." We were greeted well. Went to our room and it was hot. Put the a/c on (don't know why it was off) and very little cold came out. Called the desk and had a new room in about 15 minutes. Great! Went to flush the toilet, Nope. I lifted the lid and fixed it some. Still had to hold the handle. I was very late, so we dealt with it. Breakfast was an overcooked fake omelet that seems to be popular with the hotels. It can't cost that much more for eggs. The rooms are old and small. They are for the most part, kept clean. Not my favorite, but might stay again. Staff were great. We made a quick trip to tour MTSU and we had a very nice stay at Best Western. The room was nice and clean. The staff was very friendly and the breakfast was nice. I felt like we had a nice stay for the value. The only thing that was not working was the ice machine but they had a fridge, microwave, and coffeemaker in our room. "Very convenient and well maintained"
This is one of the better Best Westerns I have stayed in. It is either relatively new or very well maintained. Our room was right next to the freeway, but noise was no problem. We had two rooms, both recently updated so I assume this is the norm. 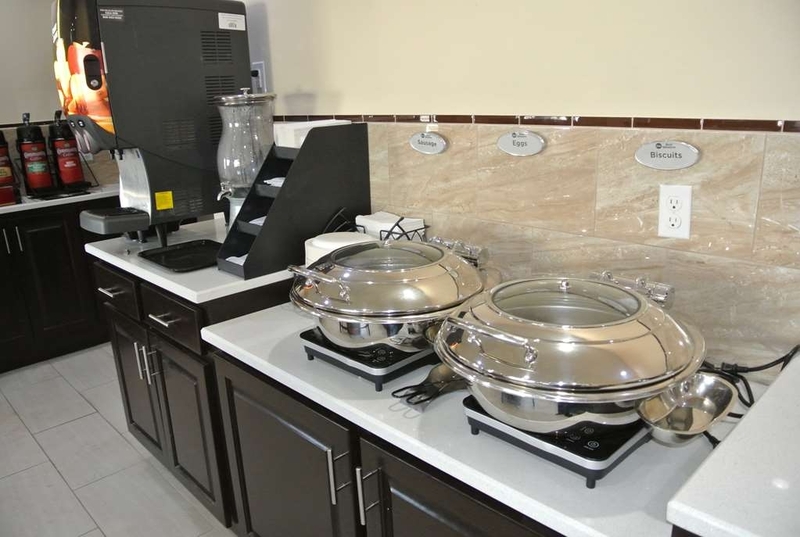 Overall, good customer service, new, clean quiet rooms, close to many restaurants (not just fast food) and a mini-golf/go kart entertainment center! Dear Valued Guest, Thanks for your stay at the Best Western Chaffin Inn and the encouraging review. Guests like you really drive us to run that extra mile to serve our guests with better hospitality. We are proud and feel privileged to serve guests like you. We look forward to welcome you again soon. Regards, Hotel Manager. This hotel is about 30 mins south of Nashville and right off 24. It was very easy to get to and had lots of stores and restaurants close by. It had some lower end hotels next to it and unfortunately loud occupants while we were there but once inside the room it was not much of a problem. The police did end up at the neighboring hotel and the problem was solved. Very friendly staff asked how everything was and if we needed anything. Close to everything and right off the interstate, didn't hear a lot of the interstate traffic. Nice room with comfortable beds. Inside and outside of the hotel was very clean. Fast check in and check out. We staid here for one night. Restaurants are located close by and the interstate is across the street. The staff was friendly and it was clean. Rooms seemed newly renovated but the beds were not. The beds were not very comfortable, lumpy, and slanted at weird angles. It was ok for one night. The young man that checked me in provided excellent customer service. The 1 800 reservation center mis-handled my reservation and he corrected the situation quickly and professionally. After driving for 6 hours, I was less than congenial an he made me a happy customer very quickly. I did not get his name but he was working on the day of check in at 4:30pm. "Not One Of Our Better Best Western Stays!!" My wife and I stayed at this motel on a Saturday night in May. This was not one of our better Best Western stays. The positive comments - The young lady at the front desk was extremely friendly and helpful. She is an asset to provide really nice first impressions. We entered our room and found it clean and smelling nice. The lighting in the "get ready area" was very good. The TV was Directv with the interactive guide, which was wonderful. The bed was comfortable. Although being a motel style room with the door opening to the outside we found the room very quiet. The negative comments - While some may like this feature, I was not a fan of the Jacuzzi tub/shower sitting next to the bed. Our hot showers made the room a steam room, with any notion of privacy non-existent. The commode and get ready area were in a single room, preventing one from getting ready while another was using the restroom. The bed had 5 tiny pillows which we fought with all night. The air conditioner was annoying. It would cycle through its on/off cycle about every 6 - 8 minutes. While on it would blow very cold air for about 3 - 4 minutes, making the room really cold, it would then kick off for 3 - 4 minutes and the room would get hot and stuffy very quickly. There was only one snack machine on site. It was out of order. the desk clerk suggested walking to the hotel next door and using their machine. The breakfast was pretty sad. The waffles were the highlight. After that, if you like rubber eggs, something resembling sausage patties and cold cereal then your in for a real treat. As frequent BW patrons and a BW Rewards member, I found this particular BW well below the standard I have come to expect from BW. Was sick so didn't do much but sleep. Place was quiet and clean and that was what I need. Staff helpful Easy check in & out. Close by battleground and husband enjoy that as he needed something to do. Breakfast was the usual breakfast but food was hot. Check in and out was easy and quick, the front desk person was friendly and helpful. Our room, 203, was on the 2nd floor. It was a little on the small side but clean and comfortable. The fridge was a lot smaller than most hotel fridges. The hotel is close to the road and we could hear traffic noise in our room. The A/C made a little noise as well. The hotel is easy to get to and has plenty of parking. The rooms have exterior doors. There are several restaurants nearby. We would definitely stay here again. "should I stay or should I go." Nice place to stay. Check the dampness of the rooms before you settle in. Turn the AC on and wait a few minutes, should be able to detect dampness. AC probably not draining properly. It also started to smell a little moldie. Everything else was above par. Stayed here over night on our way to Florida. Comfortable and clean room, breakfast was good. Best Western is doing a good job updating their hotels. Would stay here again. Was surprised they had smoking rooms, since we are smokers we liked that. Was weird smoking in the room! Dear Valued Guest, Thanks for staying at the Best Western Chaffin Inn and expressing your satisfaction through the review. Your review is very much encouraging and motivating for all the hotel staff. We continuously make efforts in upgrading our hospitality and guest comfort. It is a pleasure to serve guests like you and your comments shall motivate us to better our hospitality. Hope to see you again soon!!! Regards, Hotel Manager. Very good room with comfortable bed and very clean. Can recommend this hotel for a most enjoyable stay. Next time we travel through this area, this is where we will stay. The only problem is the deceiving entrance. Turned into the Motel 6 which is before the Best Western by mistake and thought OMG, what did I reserve. Dear Valued Guest, Thank you for staying at the Best Western Chaffin Inn and for the nice review praising the hotel staff and hospitality. We are overwhelmed to see that you liked the stay and also enjoyed the amenities.Yes we will be starting the new services of shuttles very soon. We shall look into your comment of the deceiving entrance. You are one of our privileged guests and we are proud to serve you. We look forward to see you again at the earliest. Regards, Hotel Manager. The desk clerk was very helpful and friendly. This was a very nice place to stay. Beds are very comfortable. Breakfast was excellent, many choices of breakfast foods. Nice hot tub and pool. Very clean and shower was the best! Would recommend this hotel to anyone needing a good rest while traveling. Dear Valued Guest, Thanks for choosing the Best Western Chaffin Inn. It is really nice to note that that you liked the stay and services at our hotel during your recent visit. Glad to see your positive overall observations which shall definitely motivate us to serve our guests still better. We look forward to welcome you again soon!!! Best Regards, Hotel Manager. Dear Valued Guest, Greetings from the Best Western Chaffin Inn. It is really nice to note that that you liked the stay and hospitality at our hotel during your recent visit. Glad to see your positive observations which shall definitely make us run that extra mile. It's our privilege to host valued guests like you. We look forward to welcome you again soon!!! Best Regards, Hotel Manager. First time to stay at this motel. Rooms were comfortable and clean. Staff was friendly and helpful. Good location, close to restaurants and interstate. Not a lot of parking, but always had place near our room. Will stay there again. The price was higher than I was told, no wake up call, no access to breakfast area and I was unable to access the lobby so their was no one to give me a copy of my bill. I rang the bell foe a half an hour. Best Western has really upped their game. Facilities have been or are being up graded and staff are very pleasant. This is a good value priced motel convenient to Nashville and snowbirds passing through. 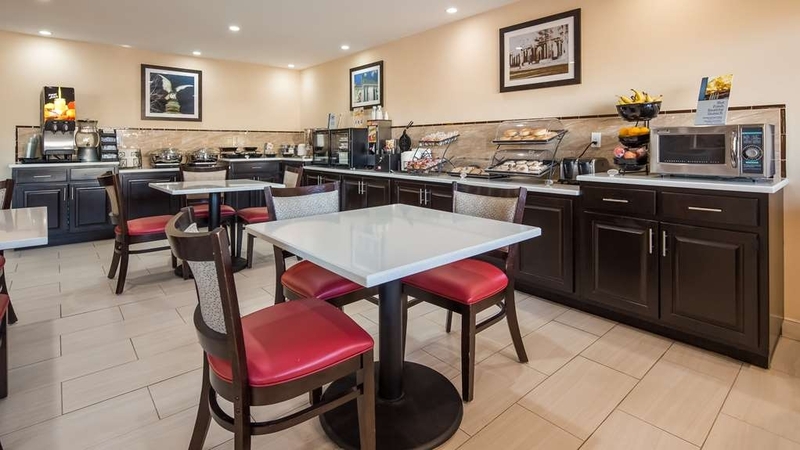 Nice appearance, comfy bed and room, clean, working order, felt safe, good parking, nice breakfast area with well stocked coffee and breakfast items that were good.Friendly and helpful staff.Would stay again without a question and will reccomend! We've stayed at this hotel many times traveling between WI and FL and are always treated well, the rooms are clean, and they are pet-friendly. We only stay to sleep and get back on the road early in the morning, but they are always very nice to weary travelers. Stayed here for a night on our way back from Florida. Hotel was very nice, rooms were quiet and comfortable. Breakfast was good and there was plenty, even though the hotel was sold out. Plenty of dining and fuel options nearby. Already booked for our next trip to Florida. There is a outdoor pool. Since it was March, it wasn't open yet. It looked small and is in a strange place. We didn't stay for the pool though. Best Western Diamond member. a) Requested room on ground floor, didn't get. b) Requested end of hallway, didn't get. c) Tried to use 3 Best Western Travel Cards, wouldn't allow. Starting to get the picture? It's a motel (outside entrances), not a hotel. Not worth the money paid, and won't return. 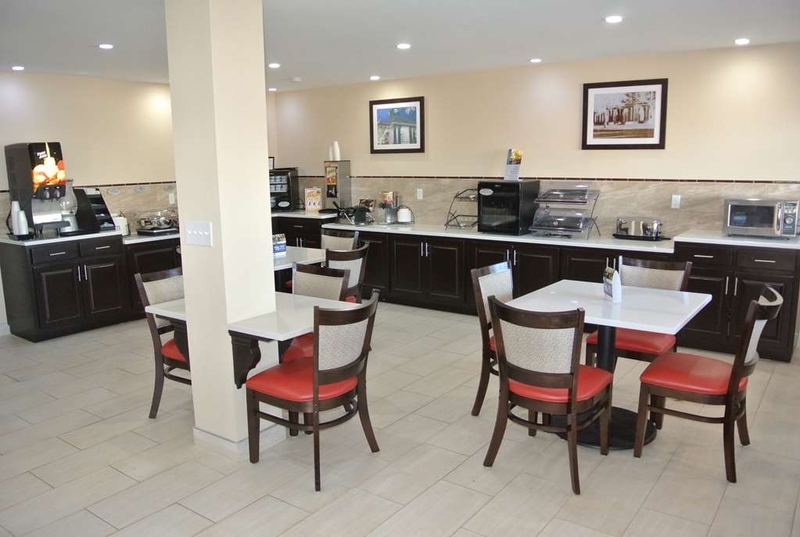 This Best Western is located right off the highway and has several places to eat within walking distance. However, parking is cramped. If you are hauling a trailer or have a large vehicle you will not be able to find parking. We have a normal Ford F-150 and it was hard to get out of the vehicle as the parking spaces were small. The breakfast was good and a good variety of foods. You won't leave hungry! Within the last year this hotel was totally refurbished. Our king room very nice, upscale and bed comfortable. The shower was excellent, but the ceiling fan very squeaky! Sorry to our neighbors. The air/heat unit noisier than we would like, but we had been driving so no big deal. The worst part, which was largely due to location, was highway noise. The BW is an older 2 story outside entrance complex, but inside units are stylish and very clean. 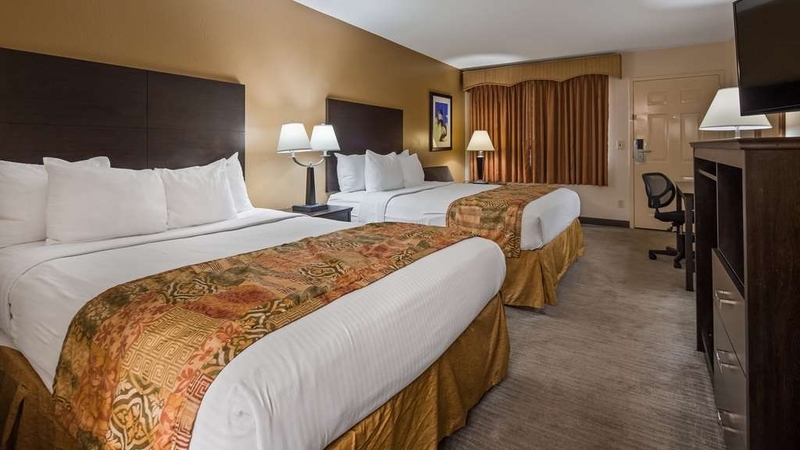 If you are looking for a comfortable room at a great price, book with no worries. If you need total silence, not for you. Very clean hotel. Staff is friendly and helpful. Convenient location to the interstate. All around great experience i will highly recommend this place to my friends and family. I will be a returning guest when i am back in town. Thanks guys! "On way to Illinois from Florida"
Excellent room. Liked fact had DirecTV satellite service. Only downside was pepper eggs at b-fast were bland and dry. Fast food restaurants in area made it easy to find place to eat. Gas stations nearby and access to interstate highway a bonus. "Slept well but the room smelled until I used a ton of Febreeze"
The people working here were very nice and assisted in any way they could. We were disappointed that the outdoor pool was closed but the beds were comfortable and we slept well. After being in a car for 10+ hours it would have been very nice to have a chance to dip in the pool to relax. We were in town for a memorial service and requested an early check-in. We received this request with no hassles. The rooms were very clean and comfortable. We enjoyed our stay here. The staff was very polite and accommodating. We would stay here again! Stopped for the night with my family and pets, was a great value and checked all the blocks we needed. Was clean and functional, with polite staff. Great location with food and shopping nearby. Don't try to bring an oversized vehicle or trailer in the lot! "Great place to stay for a great price"
This place is updated and very clean the room smelled clean and was updated yes this is an older style however they have updated it very nice. Staff was super friendly and helpful. Glad we decided on staying here. Close to nearly all the shopping and food places. Close to interstate but you don't here the traffic easy to find and easy to navigate to and from. 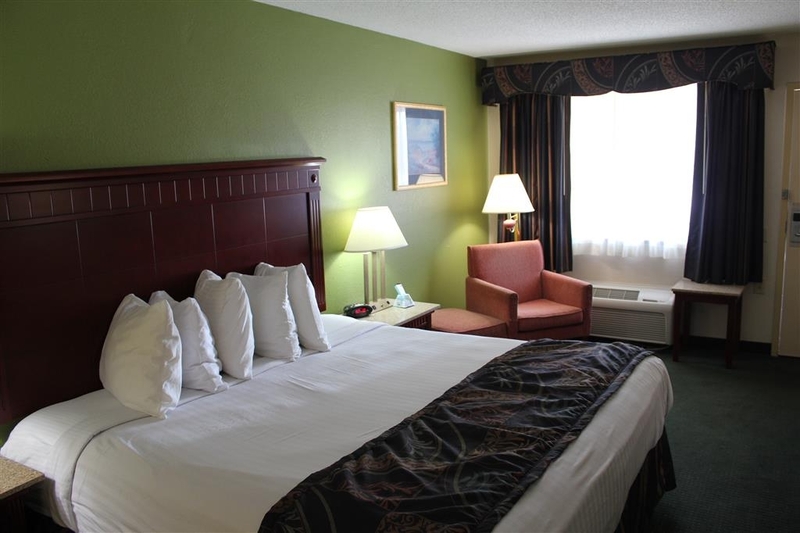 Nice hotel, accommodations near to many attractions, shopping, dining, entertainment. newly updated rooms Friendly staff. Parking for large vehicles might be a problem, but staff tries very hard to please. "Bed Bug, Bad Customer Service, Dirty Rooms"
We had a large group of us book this hotel a couple months ago. I called a couple days in advance with the names so we could have our rooms close together (that did not happen). When we fist got there, the mattress protector had brown dirty marks all over it. Housekeeping came in and took it off and did not even put another mattress protector on. They said they did not have any more. The management said they would take 15 dollars off a night for our stay. The carpet was so dirty in our room by walking on it your socks were dark brown. The room my mother and step father stayed in they end up finding a beg bug! Took it to the front desk and nothing was ever done of it!! The GM called my mom and stepdad the first night there were there to tell them there were in the wrong room.When we went to check out we asked to speak to the manager. The guy at the desk said the manger was not there. We left our number wanting to talk to the GM never received a call back. We come back home and attempt to call a couple days later to speak to GM and was told he was not there again. Left a number again and asked to be called back. Since then have not received a call back. I WOULD NOT STAY HERE HORRIBLE. I called the main number for customer care and they said they can not do anything it is the hotels decision. We had the end room on the first floor, very quiet even though we were next to the freeway. There were three or four other dog owners with the adjoining rooms. Open land across the driveway, plenty of space for dog-walking. The room was clean and nicely furnished, although the air conditioner cycled on and off noisily during the night. Looked at the breakfast setup but food wasn't very appealing -- "Pepper Egg Patties" that didn't look like fresh eggs, sausage patties, waffles. Don't remember if there was any fruit. English muffins, bagels, etc. We didn't stay for breakfast. "My home for 2 weeks "
Stayed here the past two weeks for work. The bed was comfortable, the room was clean and had no issues with the TV or other appliances. Plenty of hot water for a shower. On site washer and dryer is a bonus for a long stay. The continental breakfast was good, but the selection for breakfast was sausage patties, peppered eggs, hard boiled eggs, bagels, bananas, apples, yogurt. If they had mixed it up with some bacon, scrambled eggs and some potatoes and maybe some biscuits it would've been perfect. Sausage patties and peppered eggs got old is all. I would stay here again, as it has been my favorite out of all the hotels that I've stayed in in Murfreesboro. We checked in to this hotel for a one night stay on our way to Orlando. The front desk mentioned they had completed recent renovation construction. Yes there was new carpet and time but the contractors did a terrible job and left the bathroom unfinished. There were holes in the shower tile, the new grout was still smeared on the walls, they didn't finish caulking the bath stall, didn't finish painting the ceiling or finish out the tile work well. Looked like the crew had left earlier that day and then they rented it that night. The front desk clerk mentioned that their manager is not on the property or involved much and so there was nothing they could do about the rooms. Poor management then if they didn't bother to inspect the work before calling it done and renting the room. If I were them, I'd be super upset with the contractors that were hired to do the work. Very poor quality. Not up to Best Western standard at all. It did the job for a one night stay but I wouldn't spend my money here again. Not what you would expect at a Best Western. Have stayed at Chaffin Inn several times & while the rooms are nice & clean & the internet hookup easy, their breakfast leaves a lot to be desired......very ordinary & in a crowded space. Also at 15.00 per pet, their pet fee is a bit high. Clean remodeled room, everything in our room was new. Walking distance to several chain restaurants excellent price. Stayed on end away from interstate so it was quiet. Would stay here again if in area. "Overnight on way to Orlando"
This Best Western has undergone some renovation recently but it likes like it still needs more. The sheets looked like they were used already and the towels were hard. The breakfast area is very small and the outside of the hotel needs a little work. The carpet in the room looked old and dirty. The chair in the room looked old and dirty. "Perfect for an inexpensive overnight"
We recently travelled to TN and needed somewhere to rest for a few hours after getting in town in the early morning hours. I was skeptical of the Chaffin Inn, because of the motel style and older look to the building. But, the rooms were slighly updated and clean. Between the price point, motel style, and age this had all the potential to go wrong, but I couldn't have been more pleased with the friendliness of the staff and the cleanliness of the rooms. If you are looking for luxury, this is not it. But if you are looking for somewhere that is convenient to the interstate and clean, it wins out all day. The only warning I would share is that the toilet/shower area is very small- the vanity is outside of the toilet room. "Good value for the area"
This was my first trip to the Nashville area. 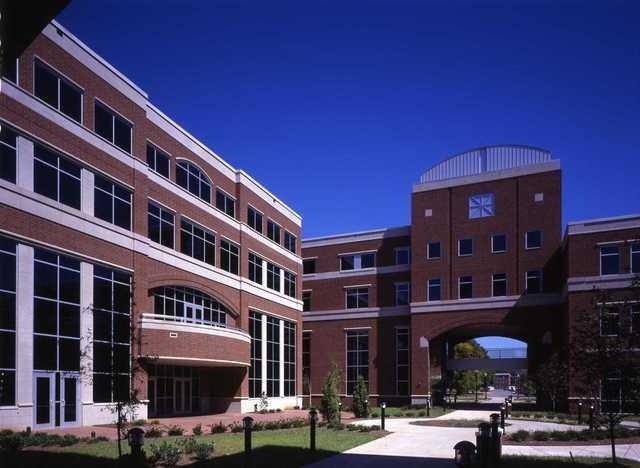 I was meeting with the college in Murfreesboro, MTSU, about attending a Master's degree program they offer. Since it is a high tourist area in Nashville, good hotels are a little pricey. I spent about half the amount I would have if I stayed in Nashville or the motels/hotels near this one. They are doing a bit of renovations but we were not disturbed. "I have been to better"
The hotel mattress was stained with urine and the carpet was so dirty that our socks were filthy. While the service was ok, we had reward cards that they gave us for using their hotel so much and the desk clerk made me feel guilty for using them and acted inconvienenced. "Passing through Tired and ready for a good nights rest and we got it"
Second time we've stayed here in last 12 months. Convenient location, well kept property and attentive staff means we'll be back again. The rooms are a bit on the cozy side (smallish) but are clean and adequate for our needs. There is plenty of hot water and the bathroom drains flow freely. The lobby/breakfast area has been redesigned to make the best use of the space available. The breakfast includes hot eggs and meat which are items not commonly found at Best Western properties which are not a BW Plus property. Having laundromat facilities, as this property does, is a convenient and appreciated feature that I wish was the norm for Best Western. Proximity to a number of restaurants means dining choices are varied. 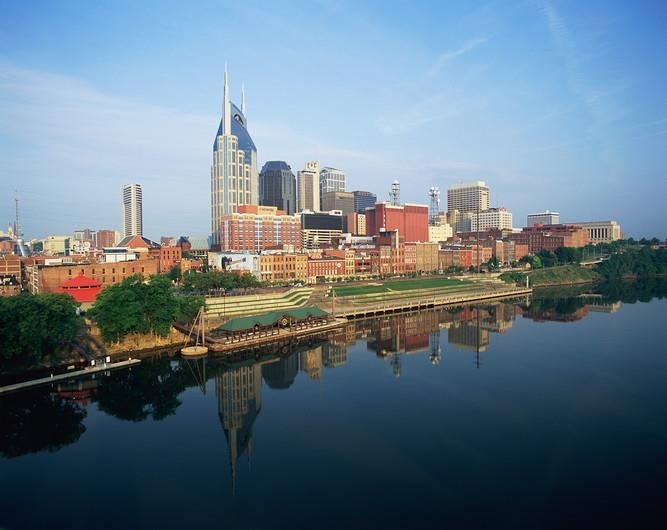 Convenient access to the Interstate means that the various attractions of Nashville are a short commute for those so interested. Nice property, reasonable rates.....give it a try. "Came for a family death.."
The web site said this hotel provided a full hot breakfast and listed scrambled eggs, sausage links, biscuits, gravy, waffles, cereal, bread... as included on the menu. The first thing I look for when selecting a hotel is the full free hot breakfast and then acceptance of pets. Much to my surprise, there were no scrambled eggs, no biscuits, no gravy, and no sausage links. When I asked about it, the desk clerk said they only had the sandwiches to heat in the microwave. This is false advertising, in my opinion, and totally unacceptable. In my opinion, this was just a little better than a continental breakfast. The room was clean, but there was a spider on the pillow when we arrived. We will not go there again. 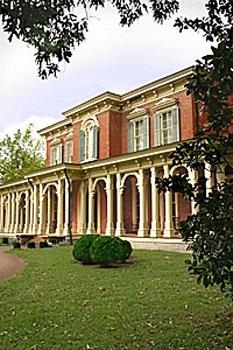 Recently needed to book a room for a weekend in Murfreesboro. 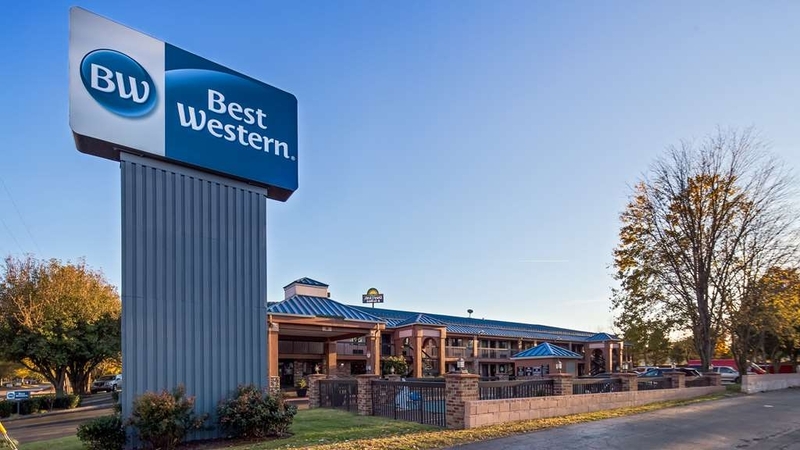 We looked at several options and found that by review and appearance the Best Western offered a great value and what appeared to be a perfect location for our needs. Many of the other hotels right next door were $50+ more an evening and didn't seem to offer much more. We decided to give Best Western a go and see how it went. Upon arrival the hotel looked much nicer than I expected for this price range. The outside appearance was very modern and clean. The lobby is small but has a nice appearance and again very clean. The check-in process, booking through trip advisor, was painless and fast. Our information was readily available to the clerk and we had our key ready and we were up to our room in less than 5 minutes. For our stay we had two so booked a King non-smoking room. The room was small but perfect for our needs. Carpets appeared to have been cleaned or replaced recently and looked great. Bed was comfortable and includes ample pillows for those that prefer multiple pillows. When searching for mid to value rooms the televisions are typically in bad shape and hardly work. This is not the case for this hotel. The television was around 36-42" and had a great quality picture. The channel options, through DirectTV, were fantastic and quality remote that actually worked. If you need to work while in your stay you will be happy to know the internet service provided is top notch for this area. We were able to get everything we needed done and did not face the typical "subpar" wifi you get at most hotels. Our signal was strong and the speed was outstanding all hours of the evening. All in all the value provided from this hotel is top notch. From the clean environment to the above par amenities this is a must stay for anybody looking for top quality at a value. We will certainly be staying here again when we visit Murfreesboro. The hotel staff was friendly. The room was clean and maintained during the 5 nights stay. Hotel also has a pool. There is a Clarion property next to this Best Western that my son stayed at. He was NOT happy with his Clarion property. Best Western property is close to highway and close to Cracker Barrel Restaurant. This is such a wonderful place to stay for many reason. From the customer service, amenities, breakfast, cleanliness it was impeccable. Up to date hotel and simply great service. 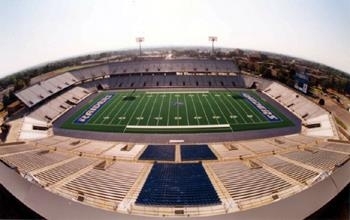 We will be returning when we come to Murfreesboro. "You get what you pay for $"
Room was clean. TV worked after the owner programmed the remote. Breeze way between front and back was dirty and cluttered. The price is low and appeals to contractors and other tradesmen. Most of the vehicles are trucks. I did not try the breakfast. I will not stay here again and would not recommend this motel. "Convenient and clean and comfortable--and quiet"
When we are on vacation, going the the East Coast or Colorado or Florida or elsewhere, we always drive. We don't fly. So we plan to make one or two stops along the way to avoid getting tired. The trick is to find convenient and clean and comfortable and quiet motels, with a quality restaurant on site or nearby. We have stayed at some of them multiple times. 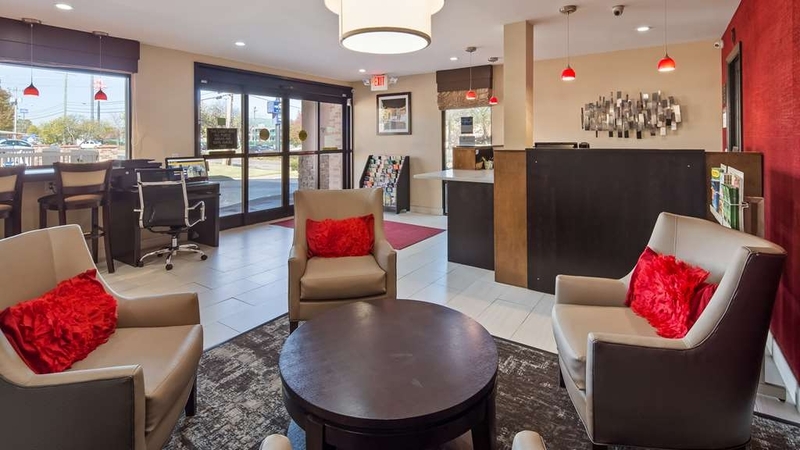 Like the Best Western Chaffin Inn in Murfreesboro, Tennessee, a south suburb of Nashville which has been our destination going to and returning from Florida on several occasions. In fact, we have booked the Chaffin six times. It is located in a busy shopping area with many good restaurants and a convenient gas station. We always book a first-floor room with king-sized bed, refrigerator, microwave, coffer maker, wifi, ironing board with iron and large flat screen TV. It is a spacious room and bath, cool and comfortable. Also a free morning breakfast. The air conditioning is quiet and you are assured of a good night's sleep, despite the motel's close proximity to busy I-24. "Hidden payment in advance requirement"
Breakfast was terrible. Eggs were cold. Breakfast area was tiny, two tables, and most guests could not find seating. The entire property was littered with cigarette butts. The hotel had a full payment in advance requirement which was hidden on the reservation and website. When I found out about the advance payment requirement, I discussed it with Best Western Customer Care and the Director of Operations for the hotel. They showed complete disdain for my concern and closed the file without any notification to me. A miserable experience after a long exhausting drive- don't stay here! Very dirty hallways and room, dog food still in the carpet, non-smoking room that reeked of cigarettes. We sat for a few minutes with the door open hoping it would help but it didn't. My elderly mother came in the room to use the bathroom and wash her hands, otherwise the room was not disturbed. When I went back to the front desk to tell "Kendall" that I did not receive the non-smoking room that I had reserved per my confirmation she said that it WAS a NS room and pointed to her sheet. Seriously the odor could knock you over the minute you opened the door. I was told that there were no other rooms available to move to; so at my request for a refund she stated that my stay would be voided and I wouldn't be billed. After I explained that I already prepaid it became a total different story - they said that since the bathroom had been used, and there was a used hand towel and some trash in a small trash can that we "used their services" and refused to refund the money back to Hotels.com so that I could get my refund. When I asked them what about customer service Kendall told me that they are there to make money. She did not apologize or try to help in any way. She flippantly said she would get a "deodorizer" for the room. So.... After driving over 11 hours, 3 women (1 elderly and handicapped) and an 8 year old boy back out on the rainy streets at 10pm looking for a hotel. GOOD: clean, easy location, quiet, bathroom is separate, staff friendly. BAD: no elevator to 2nd floor, no exercise room, very small bathroom, no night light in bathroom, TV remote didn't work ... tried several and none worked. Breakfast ... eggs rubbery, sausage greasy. I really enjoyed my stay at the Best Western in Murfreesboro, Tennessee. Kendall who checked me in and then out the next day was so sweet and attentive and helped us find a good place for dinner. Would recommend this hotel for anyone. The place was filthy inside and outside. Dingy rooms. Service terrible. The breakfast room dirty. The pool was misrepresented on-line. It was VERY small and situated almost on the street. I would never go there again. Scheduled to stay 5 days. Left after 1 night. Was charged $142 for the night. What a rip-off!! This is the second time I have stayed at the hotel for a conference. It is a nice place and very comfortable. Newly remodeled rooms make if very comfortable. Easy access off the interstate and close to lots of shopping and eating. The property was being remodeled and we got one of the completed rooms. So it was small but nice. It had a microwave and refrigerator. The water pressure was great. Now for the bad. We went to breakfast a little before 9:00. When I sat down to eat, someone at the desk yelled across the room in my direction. I asked a staff member standing next to me who she was talking to. She said breakfast ends in 10 minutes. There was a lot of food left. We hurried as they started cleaning around us. She now asked (across the room) if we minded if they picked up the food. I said "No, I'm trying to thaw the frozen yogurt so I can eat it." It was literally a block of ice and the scrambled eggs were inedible. The next morning we went in just to get coffee. They were picking up the food and putting it in plastic containers. We went out to breakfast! All else was fine. They need to work on "Southern Hospitality". Booked a non-smoking room but room smelled of smoke; it was awful! I called front desk and asked for another room, but was told there was only "smoking" room available. I was offered air freshener to use in our room. Rooms are obviously under renovation, but this was beyond that. The carpeting was filthy with many large stains all over. I cannot believe this hotel got the good reviews it did. I would never, ever recommend it to anyone! I cannot believe I paid $120 for this terrible room; I wouldn't have even considered paying half of that. The check-in staff was great. If you are lucky enough to be greeted by Ashley at check-in you will be professionally taken care of. The check-out staff has problems understanding English. Good luck with check-out Not a bad Hotel, It is just showing its age, as are We all. The hotel is under renovation. The room was not bad but the bathroom was dirty and the bed was not comfortable. There is no vending machines on the 2nd floor. You have to go to the first floor. The breakfast was cold and unappetizing. The express checkout did not work because I have not received my bill. I chose this place because it was a convenient place to stay after my day in Nashville and before my upcoming day in Lynchburg and my trip later that day to Chattanooga. They are going through a remodel, but there was no inconvenience during my stay. The room was very clean and comfortable. The staff was friendly and the checking in and out went smoothly. They offer a breakfast in the morning which always a nice convenience. This is a average hotel, clean, room is as on the internet. Location is excellent 1 1/2 hours from Nashville. some reno's & some noise from neighbours otherwise a restful stay. Staff was courteous but service slow at checkout. "Good for stopping for overnight,"
We stopped at this hotel on our way back from Orlando. The employee, Brian at check-in was very friendly and helpful. The rooms were nicely updated a few little blemishes here and there but a decent place to stay overnight. Nice to be right off the highway. I stay at this location 1-2 nights per month. This is certainly not the best motel Ive ever stayed at however it's decent and I'm a diamond elite member with best western so I try to stay at best western only for the reward points. This particular trip I did not take the time to make a reservation online and just made reservation at front desk. I was given a rate of $149.00 plus tax and I asked if the room was a suite or something and he desk manager said "no it's not. The rate is that high because it's the last room we have available and the rate goes up on the last room available". This is a old style motel, 2-leve, all exterior doors. A little while later after I settled into my room I pulled up best western website on my iPhone. Guess what, this location has several rooms available and the rate is $98.99 plus tax. I called back down to front desk and asked what was going on with the price and I was told "we can't (won't) match that price. So if I had stood in front of the front desk and made a reservation on the best western website I could have saved $50 verses just reserving at the desk. I won't be back to this place again. Nashville Best Western's are MUCH nicer than this place and no BS. "Stay away from this motel"
Where do I start, 1st my name nor gender is not the way you addressed me in this email, 2nd the water tasted like it came from Flint Mi. 3rd the small refrigerator did not work and your maintenance man could not fix it nor did he understand the problem as he did not speak English, he had an interpreter who understood some come in the room 4th the furniture was broken 5th the food served was horrible (properly using the Flint water) 6th my wife signed up for the frequent stay program and that was even messed up as the wrong name was put into the program. Very friendly staff checking in and checking out. Nice clean rooms and convenient location. Rates for the room were a good price compared to others nearby. Overall experience at this Best Western was great. I would stay here again. I had the nicest experience at a hotel in years here. The carpeting was brand new in my room. No smells, no cover smells, and soft fluffy feel. I can't you what a wonderful experience. The bathroom had been remold to make it more accessible with good lighting. Breakfast area very nice and open. Food good and some hot choices. Good stop over hotel but a little pricey like Nashville area seem to be. "Best Western Chaffin Inn, Murphreesboro TN"
Very nice renovated hotel. Room was small for a king and accessories but comfortable anyway. Restaurants nearby. Nice pool, breakfast not as good as some other Best Western properties. will be very nice once all renovations have been completed. We were on our way to Florida and this was a good place to stop. I would say the hotel is good quality, not great. It was clean and close to the interstate. My only complaint was the breakfast was not great, it was not bad, but other best westerns we have stayed at had much better quality. 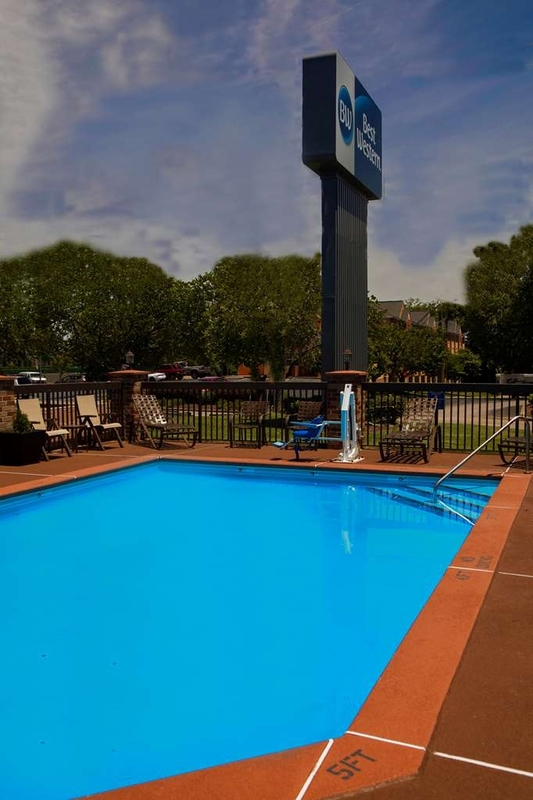 Best Western Chaffin Inn, Murfreesboro, TN is great value for the money. Great location. Lots of food and shopping close to the hotel. Staff was pleasant and easy to work with. Very clean. Will visit again in the future! Newly renovated, so much so that there is evidence of it everywhere outside and in breezeway...pieces of furniture and construction stuff. You could hear the highway from the room. The AC muffled it so you didn't notice it so much. Our room's bathroom door kept swinging wide open if you didn't latch it. We could hear the people above us. The renovation construction quality was lacking in attention to detail. The bed was comfortable and there were plenty of pillows. There was a hair dryer in the bath, small fridge and small coffee maker in the room. The breakfast was a typical "free" breakfast. Nothing horrible but certainly nothing to make us want to stay here again. Great stay, everything we needed. Breakfast was a nice selection and never ran out of items. Rooms were clean and an excellent size. Beds were comfortable and well kept. Hotel staff was very friendly and always willing tom help . Overall a great experience! "MTSU parents do not stay here"
When I checked in they could not find my reservation. It took 20 minutes to locate the reservation! I had a print out with the confirmation number. I also had an email from them welcoming me to Murfreesboro saying they could not wait for us to arrive. An attempt had been made to renovate the room. Lots of corners cut. The base board was not glued down. The shower rod was barely hooked up. When I checked out they would not give me a receipt because I had booked online????? We will NEVER visit this property again. We are new MTSU parents and will be coming to Murfreesboro multiple times during the year. This is a shameful excuses for a Best Western property. We are Best Western fans but not for this property. 10% of the rooms are smoking rooms (5 out of 50) at this hotel. They were sold out and I was told when I checked in that my internet booking service booked a smoking room by default. Over the years, I have booked many hotel rooms over the internet and never heard such a thing. I was told, if I wanted to have a non-smoking room, I should have called ahead after I made the internet booking. Meanwhile, because it was sold out there was no way to switch to a non-smoking room, as per the clerk. I doubt I would stay there again. The room smelled, my clothes smelled after staying in the room for awhile. It was a very unsettling experience. I booked a 2nd room for an associate and he had an equally bad experience being an ex-smoker, as well. He kept waking up and had trouble falling back to sleep because of the smell. Room was about the cleanest we have ever stayed in (maybe because it had just been refurbished). Nice large room with two queens, desk (which can also be used for eating on), desk chair, and a lounge chair. Very long flat top chest drawers that could handle all the luggage of a family of four, plus a moveable luggage rack. Mini fridge and Microwave in room. Nice flat screen TV attached to wall. One nice touch - each lamp in room had a outlet on it, so multiple devices can be charged at same time! Bathroom was a bit small, but not overly so - sink was outside of this area & had a long counter space to hold all our toiletry items. Very good shower with adjustable large shower head. Beds were very comfortable with good pillows (2 for each person). Another nice touch for us 'germ' freaks - they had a sheet on top of the blanket, as well as below, so no direct contact with the blanket. Staff was great - very friendly, helpful & respectful. Breakfast was your usual - didn't try the eggs, but they did have cereal, fresh fruit, yogurt, bagels, danish, etc. Plenty of seating & staff was right there if needed anything, and to restock. 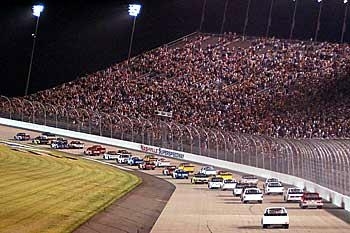 Noise & parking was not a problem - could not hear interstate noise, as some have implied. Many eating places close by. A few things that management might check on (again, these probably are because of the remodeling & just haven't been gotten to): The mini fridge needs to be stabilized - it rocked every time the door was opened & everything in it would fall; One of the beds made a loud noise every time someone would move on it (may need stabilizing, too); would be nice to have a TV channel list in room; There was a slit in sink counter where facial tissues are normally put, but no facial tissues; and seems like door to room doesn't fit properly - large space in between where light comes through. Can't say enough about how nice the staff was - very pleased with our stay. Reasonably priced. Would definitely stay here again! Nice clean rooms and comfortable beds. Loved the lady at the check in. Great restaurant right across the street. Only thing was that I wish they started breakfast 1 hour earlier. Wanted to get started toward Cades Cove by 7 but doors weren't open for breakfast till then. "Good, Clean Rooms but Breakfast Ugh!" The room and beds were great except for the tiniest bathroom. Had to squeeze in to close the door. Why are they designed that way?? Breakfast was terrible, the worst I have ever had at a Best Western. Eggs looked and tasted like crap and the gravy for biscuits was thinner than water with no meat.. Small area with little seating. It was so bad that the next night also at a Best Western in another city, we didn't even try the breakfast. I stayed in a second floor room on the office side, very close to office. Room was quiet, it has been refurbished and has new carpets, decor, etc.. Problem is it is something like putting lipstick on a pig. The basic problem is it was built a long time ago and has a very small bathroom and sink area, no elevator to the second floor, exposed outside entry and none of the basics a frequent traveler would expect. My room did have a small microwave along with a very small dorm style fridge, repeat small. The folks running the place are quite nice and for a night or two max it is fine, but longer than that and you will get claustrophobic. Loved to stay here. But, they recently have a new manager and she about the rudest person that i have ever dealt with at a Best Western... Everything else at this location is great. The other staff is nice and friendly and the rooms are clean and the breakfast was great. Just seemed to have one bad apple out of everything else. A pleasant surprise when I was just trying to cut some trip-cost! The beds were comfy, the place was clean, the water was hot. It is obvious the place had just been remodeled, inside and out. Friendly and helpful front-desk staff. "End of a long day on the road"
After a long hard day on the road, we were warmly greeted and given several options for room selection. We were also briefed on the local eating establishments . We checked in, cleaned up and enjoyed a nice dinner before calling it a day. The next morning we were given a wonderful selection for a hot breakfast, easy check out and were soon on the road again. staff was great, rooms very nice parking at door was something I like is a stay.. newer places don't have that anymore. I think my room had been empty for a while, there were several bugs, like miller that fly around lights, and a few other type bugs. I don't think this was fault of anyone other then just had set empty for sometime. I would sure stay here again..
Great place to stay. The rooms clean rooms and modern. The beds were comfortable. Breakfast area clean and food was stocked. Staff was very nice and helpful. The hotel was convenient to the area I was visiting. I would stay again. The hotel is very close to a lot of major roads. The noise though didn't keep us up, was very distracting. The parking though was atrocious! I was actually concerned about getting from parking to our room with my tween daughter. Okay, but won't stay there again. This place is as nice as any other hotel . Stayed here for 3 nights, the rooms were just remodeled, and it was quiet and the staff was friendly . Yes the highway is close by but we really didn't hear any noise that other people complained about .But just to let travelers know every hotel in the area is right next to the same highway, and their is at least 8 to 10 hotels right around this one . So don't base your staying here on that account. This best western was clean and priced right . "Praises to the ladys at the desk!" Ashley 1st shift and Kendal 2nd were both very helpful during our stay! We Loved the way Kendal dressed and Ashley has gorgeous Curly hair it is amazing, When we needed something they both were on it in a efficient timely manner. My husband and I stayed for 3 nights! We Loved it Thanks ladies for making us feel at home! We will be staying again! "Best Western Chaffin Inn, Murfeesboro, TN"
Clean rooms. The staff was great and the food was awesome. Need more parking but other than that it was good. Will definetly be going back. The rooms are clean and the internet worked great. I really enjoyed the place and will go back. 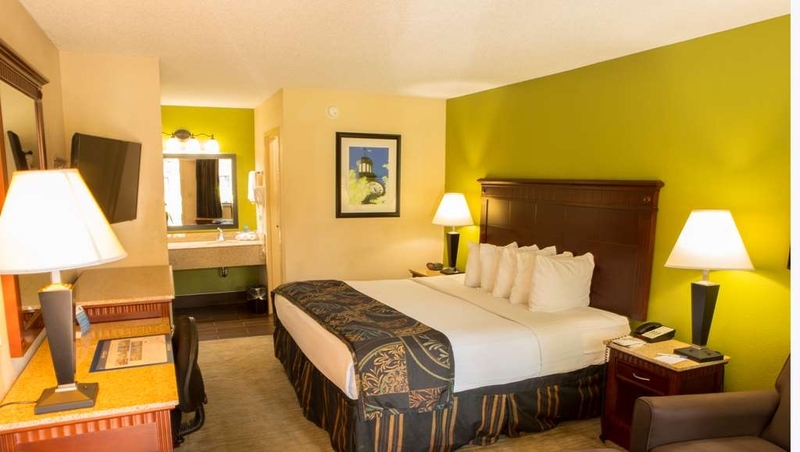 Our room was clean, the staff was professional and helpful and VERY accommodating. Breakfast was a nice touch and satisfying. Easy access on and off roadway. Pet friendly was our main reason for choosing the Best Western. I would not hesitate to stay in a BW in the future with or without pets. Place meets the fine standards of other Best Westerns. I would like to see more variation on the breakfast menu. It would be nice if each place could have at least one local food product representing the area or state such as, fresh squeezed orange juice in Florida or Cheese in Wisconsin, peanuts in Georgia (especially boiled peanuts). "Best Western Stay in Murfreesboro, TN"
We stayed at the Best Western located of I24 in Murfreesboro, TN. The hotel is an older hotel with the doors on the outside. There is no elevator and they have a seasonal outdoor pool that is small. Room was clean and fresh smelling. Bed was comfortable. The hotel is very close to lots of shopping and restaurants of all types. The traffic seems to be constant yet fairly quiet. The room was clean, bed and pillows comfortable. There was enough room to work at the desk. GREAT shower pressure and plenty of hot water. All in all, there was nothing that really made this motel stand out BUT I would not hesitate to stay again if I couldn't find a better value elsewhere. I do not recommend they added charges on card that were not suppose to be there.The place is too loud and is in need of upgrading. To many motels are owned by less than knowledge hospitality want to be. This is a good very clean Hotel close to food and stores we stayed for two nights Breakfast was very good and Hot, if we ever pass that way again we will stay there again. Keep up the good work and remember this is not just a Hotel "It's an Best Western Hotel"
Hotel in process of renovation! Still a great experience and the part that is done, is looking fabulous! We travel a lot to dog agility events and this hotel ranks right up there as very accommodating by giving a 1st floor room in the back in main building where the grass is located. "And the Rudeness award goes to: Best Western Chaffin Inn, Murfreesboro, TN"
I had a problem with my bill. The check-in staff and finally management were some of the most unprofessional business people I have ever dealt with. Very rude. I deal with the public on a daily basis with my job and always strive to treat people with respect no matter the situation. It was very hard to maintain my dignity with these folks. "Clean and Food Options Near By"
Our room in this motor inn off of 24 north was clean with a hot breakfast in the morning beginning at 6 am. TV, coffee pot, fridge, free WIFI, all in working order. We did not use the microwave, so can't comment on that. 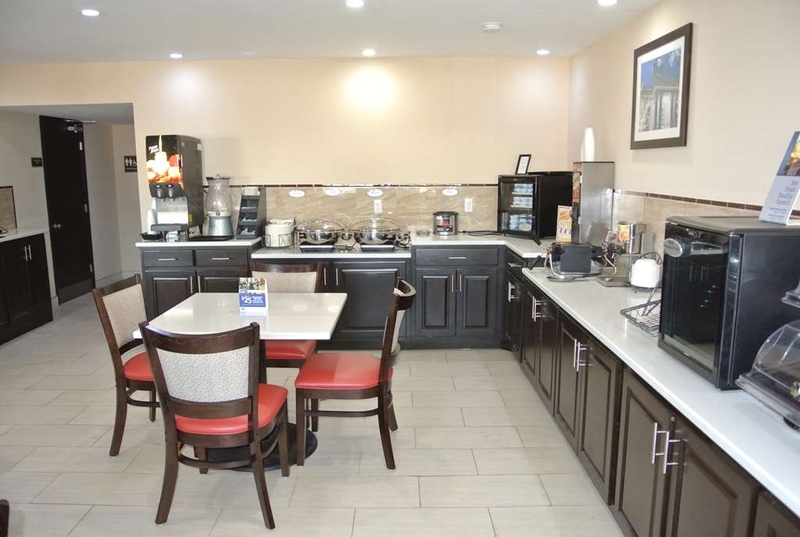 This is located in a "mall" of motels and nationally known restaurants, so lots of food options. Did not see locally owned regional type restaurants near-by. For us it was a great long haul ( traveling cross county) pit stop for the evening. Thank You for taking the time to share of your experience while at the Best Western Chaffin Inn in Murfreesboro, Tennessee. It is greatly appreciated. We wish you nothing but safe and happy travels! When we checked in and were asked if we wanted Smoking or Non Smoking that should have been the key to just leave. I can't believe that any hotel still allows smoking. All was well with the room and everything about the hotel at first. After we were asleep for awhile I woke up to an odd odor. It was cigarette smoke. Our air conditioner was pulling in smoke filled air. I could not sleep, it made me feel sick. Then I realized how the smoke was entering, thru the air conditioner. I turned off the air and went to sleep but my room was hot and stuffy. If people need to smoke they should not do it outside of the room. Perhaps designate a space across the parking lot. First, thank you so much for taking the time to write a review about your stay with us, I am sincerely sorry that this incident occurred. We are currently working on a solution so that this does not happen again. We do in fact still have Smoking Rooms because the State of Tennessee has still not banned them across the State for hotels as they have for restaurants. Again, my apologies for your inconvenience and we wish you safe travels. This was the first time we stayed here. Great nights sleep but poor room-smelled like smoke and we had to switch. The next room had cig burns in blankets, writing on the bathroom walls from contractors, air did not work properly. The PLUS of this hotel was the nice front desk/food area. This hotel is under renovation so be forewarned. All the room are outside rooms and because the hotel is located adjacent to the interstate, there was a lot of highway noise in my room. I had to keep the fan running to drown out some of the noise. As I am a very light sleeper, it was not a very restful night for me. So beware of the highway noise. 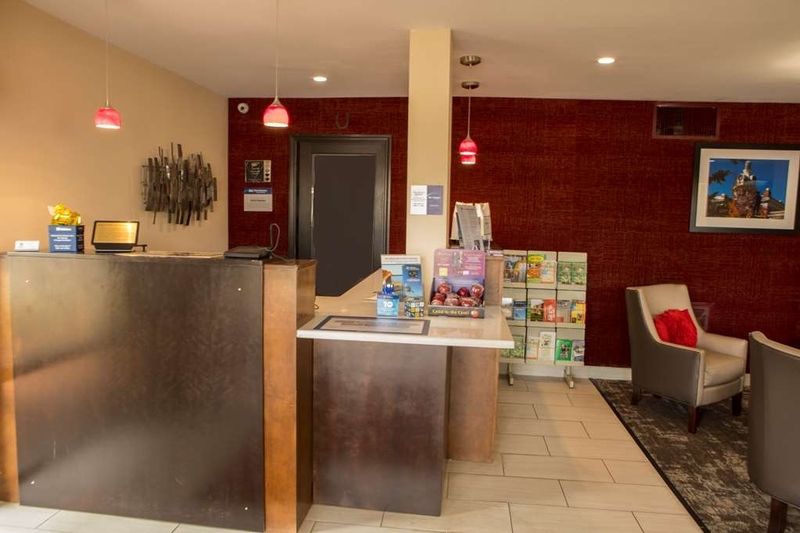 Have you ever stayed at a motel and the check-in could care less NOT SO WITH THIS BEST WESTERN IN MURFREESBORO--the check in was one of the best experience. The breakfast was very good. And the room was well appointed. We ran into a problem with the 1st room and the check-in lady was on top of the problem and helped us move to another room. "First time I've had a cold shower at a hotel stay." Water was cold. Not a great shower. Husband said he got a hot shower later when knob was turned halfway between hot and cold (I had it all on hot, trying to get it warm). Eggs at breakfast (at 8:00 am) were also cold. We did mention this to staff and I believe he said they had trouble with circuits, not sure. Room was not real clean because of remodeling - putty in several areas. I could have dealt with that, but price was not reduced because of remodeling. I felt we should have gone down the street to the Sleep Inn or one of the many others but we were tired after a long day. Would not stay there again! they are remodeling this hotel, the rooms are very small, but generally updated and clean. Motel style, so you must walk/carry up and down outside steps. When we were there the hot breakfast was horrible, burnt, ,cold poor quality...did not eat there! The internet seemed to work fine. Small rooms definitely not for more than 2 people. This hotel was adequate for a one night stay. Our relative booked the room due to the fact that they had a pet that needed accommodations as well. The room was clean, but the paint was worn in areas and there were some cobwebs on the ceiling. The location of the hotel was nice due to a Cracker Barrel one block away. While our ground level room had a door to the outside, the outside noise didn't hinder a good night's sleep. Our showerhead was great and the t.v. was large. Our kingsized furniture was a bit large for the space in our room, but my relative's room had two queens and was a larger room overall. The hand sink had plenty of hot water the shower did not? The eggs were like rubbery hockey pucks? The rest of the breakfast items were excellent. 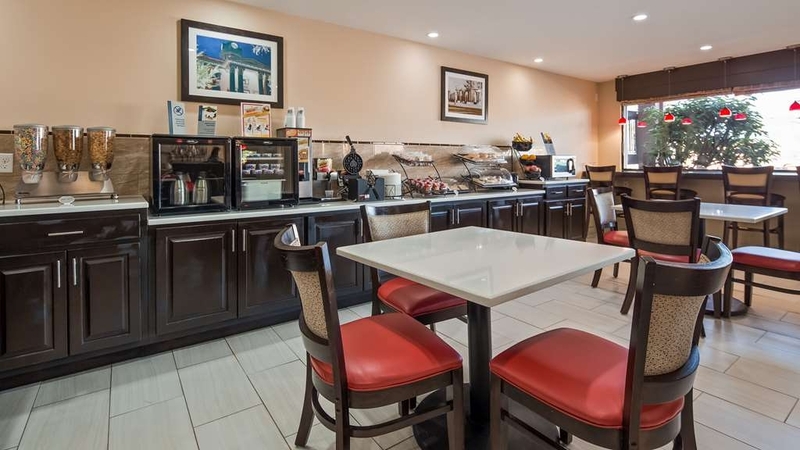 The room was clean and comfortable, Parking in front of room, Easy to find, Great location plenty of shopping and dinning within walking distance GREAT PRICE friendly and helpful staff. "Overall this was a good deal for the price." The rooms were good. The breakfast was so-so, but OK. Parking was great. Overall, I would stay here again. Room was nice, bed was nice. I was traveling through and needed a place to stay for the night. small rooms poor parking and lackluster breakfast, I would not stay here again. Very difficult access, shady characters roaming around and they did not email my reciept as requested had to call them to get it. Over all I had a pleasant stay. The hotel was under renovation in the lobby area, so I understand. The rooms were all remodeled and very nice. I had to leave early so I did not get a chance to try their breakfast. If I'm in the area and need a room I will be looking here! Hotel in middle of remodeling but still good experience. Rooms very nice and everything worked as should. Easy to get to from interstate. Parking good. Staff very knowledgeable. Great appearance from outside. "Wish we had passed on this one"
Had planned on staying at another location but made good time driving so switched to this location. Since we were in the car I made the reservation thru the 800 number. No mention was made of the renovation (also given wrong exit number). The check in was set up right in the lobby construction area. I couldn't hear any of what the clerk said to me as drills and sanders were going the whole time. I think guests should be forewarned of this. Didn't even look at breakfast as we left long before it was served. Room was ok, bath vanity not cleaned (used dental floss left there) but the beds had new linens. That was all that was new, the bed itself creaked every time you rolled over and was very uncomfortable. I usually like BW but will not try this one again, remodeled or not, due to this stay. Check in clerk (blond, young woman) was nice even though I couldn't hear her. Check out clerk (young man) not so. Seemed to not care about any comment I had. Would not recommend. Also lots of interstate noise. Our Room was Filthy - broken tiles in the bathroom - with greasy nasty filth not only on the floor but on the front of the tub. There were holes in the filthy carpet also holes in towels - The breakfast area in a room that was flooding due to them doing updates to the lobby area. They should be putting their efforts into the rooms rather than the lobby - DO NOT STAY HERE!! "Ask better questions next time"
The hotel was under construction, the lobby was unfinished and temporary setup, the breakfast area was set up the same temporary in a room, access to our room was up exterior stairs and a long walk. Never got my receipt just sign a electronic version. Rooms need a deep cleaning: walls, baseboards, and electrical outlets dirty. Carpet slightly dirty or worn perhaps. Breakfast is typical BW, so no complaints there. Checkin person very friendly. I can not recommend this BW due to the need of cleaning and updating rooms. Many hotels in the area to choose from. Look for newer or recently remodel hotel. No problems with internet connection and the TV has several stations to surf through. "Great room for the price"
The location was a little sketchy, but the hotel was a nice surprise. Nice staff and clean rooms. Bed was comfortable and the sheets and pillows were comfortable also. It had a refrigerator and microwave that came in handy. "Under renovation. Clean and ok for overnight stay"
Under renovation. Breakfast in a motel room that you take back to your room. Lock was broken. Remote did not work. Right next to the highway, very loud. Staff were helpful and accomodating. Did not try the breakfast. Good value for the money. Friendly stall. I did not check my bill when checking out and did not notice that my Points had not been used to pay for the room. When I realized this a week later, I called Best Western and they said Chaffin Inn would take care of my problem. In less than a day, my room bill had been refunded to my credit card. I was very impressed. adequate stay I will be staying here once a week as my predecessor did. We are a direct bill company with Best Western hotels I get a A.M. delivery when I stay things work out pretty well. Construction on the property is a nuisance, noisy, dirty, and inconvenient. "Your worst nightmare!!! Who has been in my room???" When I checked in on Wednesday 11/4 at 3 pm, and everything was fine and the desk clerk with the long blond hair was extremely accommodating. My stay was fine until the last day. During the evening hours, while I left for a conference, between 4pm and 11:30pm someone spent time in my room. There was a container of chicken wings in the refrigerator, of which two were eaten. I'm a vegan, who would never buy wings. I reported it at 1:30 am, and left a message for a return call. I have yet to receive a call back. I called the Tennessee Police in the area and filed a report. Either my room key was NOT reprogrammed before giving it to me, an extra key was made for someone, or an employee let someone into my room. There were bricklayers working right outside my room. I'm not crazy enough to believe that I am the only one this has happened to. When I first arrived, there was a half 20 oz bottle of soda in my fridge however I just thought that someone just did not clean the fridge before I checked in. I have not noticed anything missing, but just the thought that these workers might have been let into my room to rest, use the restroom, or take a lunch break is crazy. I'm even wondering if they napped in my bed or God know what else. This is crazy. I will tell one of the heads of our organization and ask that they NOT include this on the list of available hotels. In fact, I'm going to ask that all participants are admonished to AVOID THIS HOTEL AT ALL COSTS. Our fellowship will be spending millions over the upcoming years, especially since we just installed a leader from Nashville. When the head of our fellowship lived in New Orleans, for his 23 year term, most events were in New Orleans. this hotel was a very good value and rooms were clean and we will stay again in the future. We were on our way to Orlando and it was a great stopping place. We booked ahead of time and were glad we did. Every place had signs up that they were booked up. we usually stay here when visiting our daughter and have never had issues. the problem was the cleaning products- the smell was like a sickly sweet bug bomb. I was sneezing, coughing after 10 minutes in that room. i asked for another, but there were none.. I asked the front desk to tell the housekeeper not to use whatever it was she was cleaning with, but it took 2 times before it was done. I had to go to urgent care because i couldn't breathe. I'm a travel agent who has never,ever had issues like this one with any hotel I've stayed at. No apologies were extended by the staff. "Yearly vacation w/ Sisters (3)"
Nice hotel in good area. Close to lots of sights, shopping, and restaurants. We were there for our yearly fall trip to the Webb School Arts & Crafts show in Bell Buckle, TN 20 mi. southeast of hotel. We did not spend much time in our room, however with the exception of a very small bathroom, it was quite nice. The places we chose to eat the food was great and the prices reasonable. The hotel breakfast was adequate but no instant grits or oatmeal. I only rated this hotel a "Very Good" and not "Excellent" because the breakfast was cold and the waffle maker didn't completely cook the waffles according to the directions provided. Otherwise it was great...the room was clean and comfy...the staff gave us extra blankets and pillows....the staff was very helpful when we needed directions. Definitely stay there again! "Older but well maintained and clean"
Stayed here on my way to a new city for a new job, and found this hotel to be very clean and well maintained... especially for an older hotel. 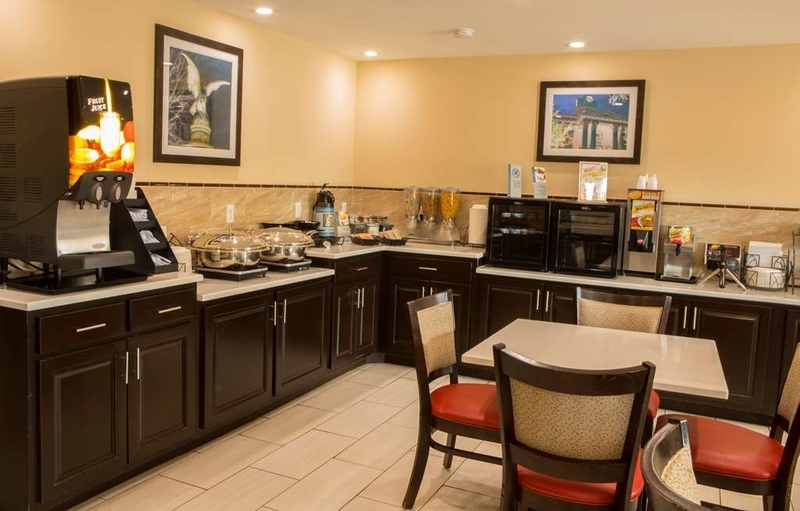 The amenities were adequate and the breakfast bar was well stocked with good choices for the morning meal. I would stay here again. Friendly people at the front desk. Convenient to interstate but had traffic noise. Easy access to shopping and restaurants. Room was clean and comfortable but I think it was a little overpriced. Good wi-fi. "Could be a lot better. Disappointing for a Best Western"
First off...... The hotel is close to the interstate, staff was ok, beds were confy, but......... The carpet in this room was beyond filthy. Even though it was a pet room there is no reason for the carpet to be soooooo filthy. It is obvious this carpet has needed replacing a long time ago and owners are just too cheap to do it. Also the in room refrigerator was so sour and musty smelling it left an ordor in the room for several minutes after opening the door for a second. NOT a refrigerator I am gonna use! Finaly, breakfast was not as advertised. The was no breakfast meat offered at all, the cereal was stale, and no hard boiled eggs. The egg rounds they did have were cold and rubbery. They were so bad my hound dog would not eat them. That left biscuits and gravy and walffles and yougurt to eat. I hate yougurt and the rest not nutritionally sound to eat. Overall, I should have received at least $20 for my over priced stay at $124 or so on a Monday night. My stay at Best Western on the Saturday night before was cheaper, around $85. The value is not with this Best Western!!? If your only staying for one night (very close to interstate 24) this hotel is great but for any thing more I felt that it was inadequate. (Very small bath, shower curtain too short water went everywhere) beds too soft. I felt since it was close to interstate 24 that's why the rack rate was high. I did get a small discount for being a Best Wester member. The motel is about what you'd expect of an older motel close to the highway. Carpet stained in front of door, older furnishings, etc. The worst part of the experience was the breakfast. I got biscuits and grave and the gravy was completely tasteless. Neither I nor my wife finished the meal. I know it's free, but really! A terrible breakfast can ruin the start of the day. Also, the road noise made it difficult to sleep. Attended a music festival in Franklin, TN and discovered a shortage of rooms in the Nashville area. It worked out well for us! The area around this property is full of other hotels and plenty of food choices and near the interstate but noise was minimal. This is a well maintained property and you can see it from the clean rooms to the parking lot. We even braved the swimming pool which was cool and enjoyed the saltwater treatment. The staff is super friendly and helpful. Great value for the bucks! Great place to stay. Very comfortable and clean. Excellent price range. Close to Nashville. 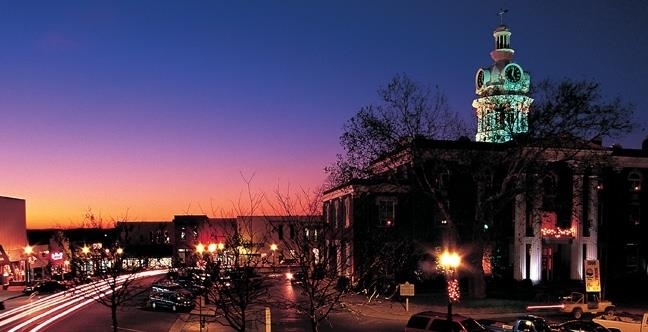 Nice little town with Middle Tennesse State University there. Very close to Civil War Stones River Battlefield.